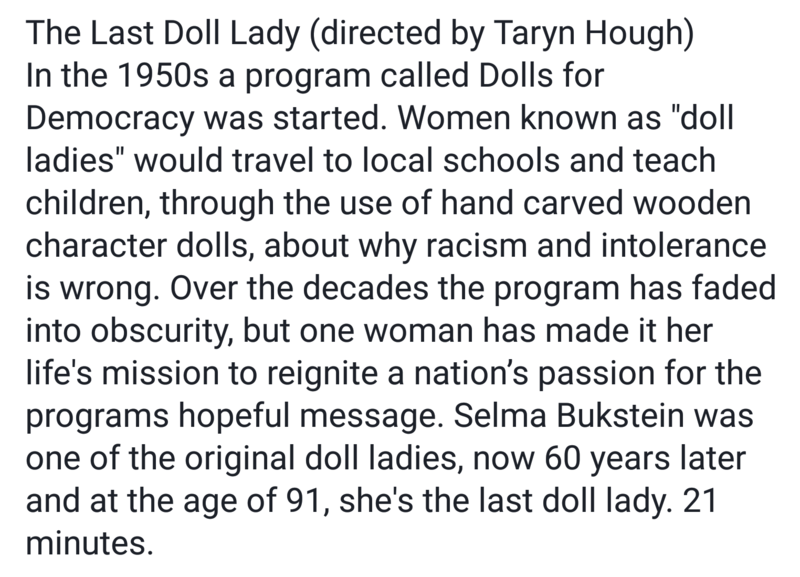 In the 1950s a program called Dolls for Democracy was started. 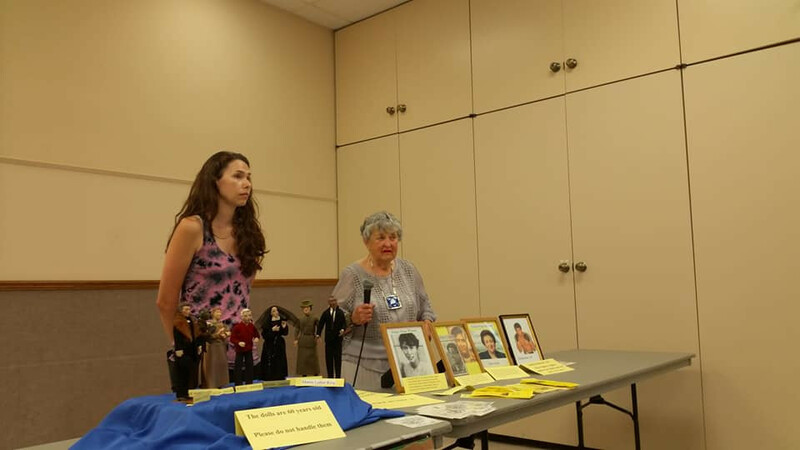 Women known as "doll ladies" would travel to local schools and teach children, through the use of hand carved wooden characer dolls, about why racism and intolerance is wrong. 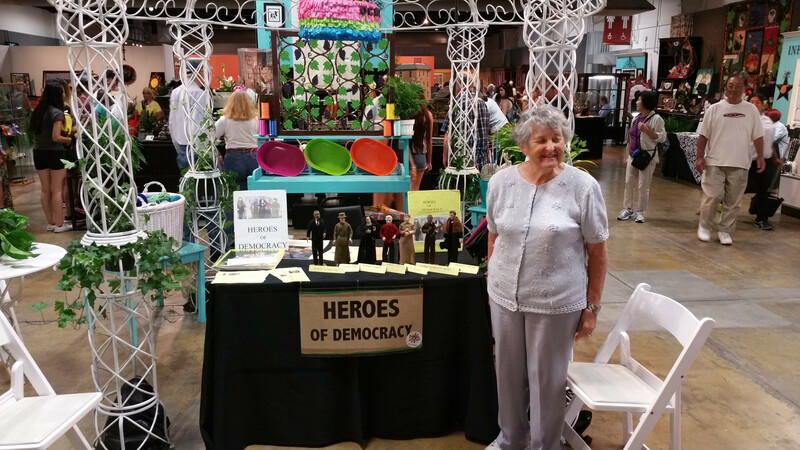 Over the decades the program has faded into obscurity, but one woman has made it her life's mission to reignite a nations passion for the programs hopeful message. 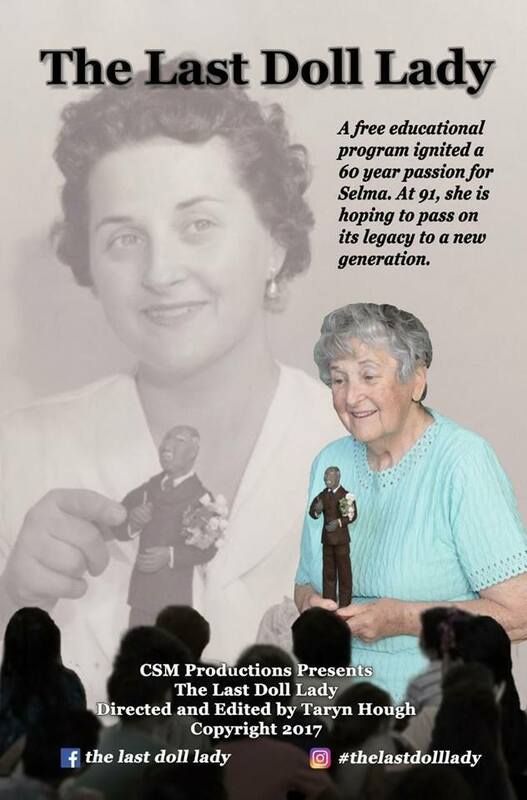 Selma Bukstein was one of the original doll ladies, now 60 years later and at the age of 91, she is the last doll lady. 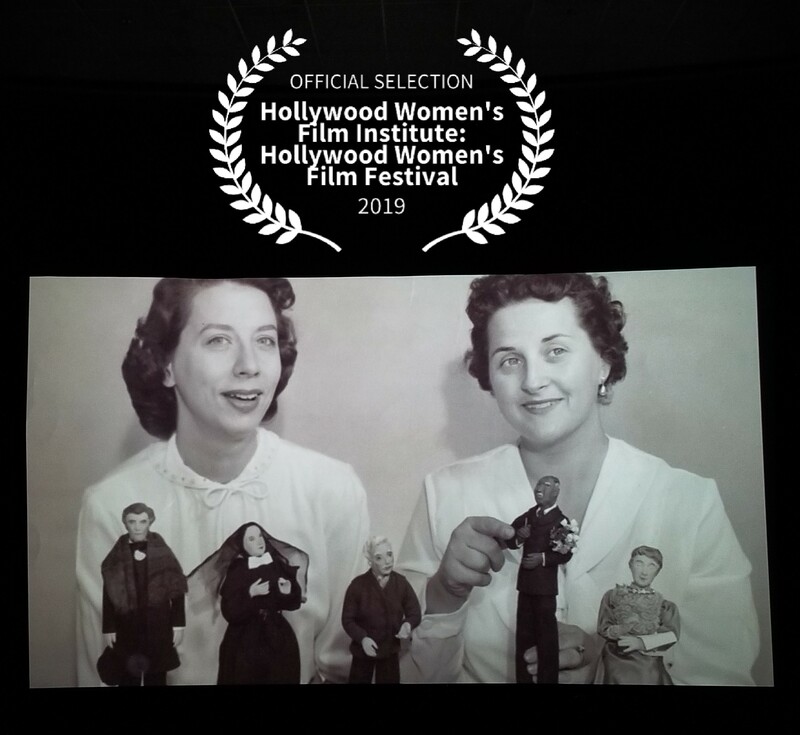 3.11.19 The Last Doll Lady was accepted to the Hollywood Women's Film Festival! The festival takes place in Los Angeles in June, screen time coming soon! 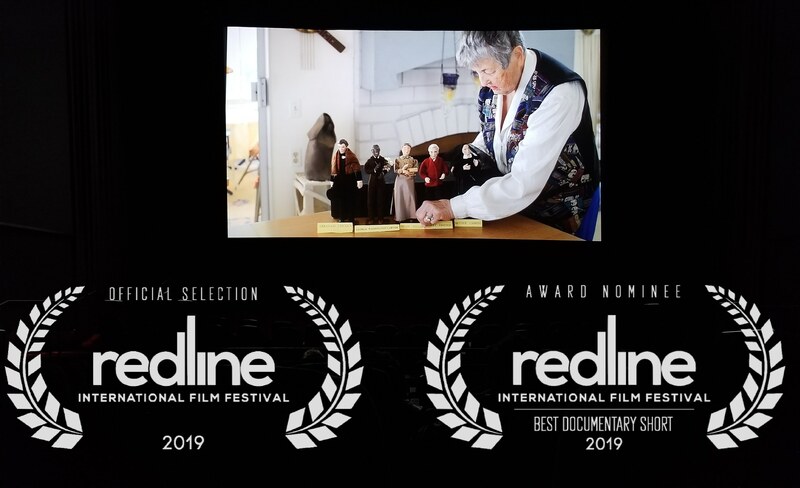 3.5.19 The Last Doll Lady has been accepted to the Redline International Film Festival! 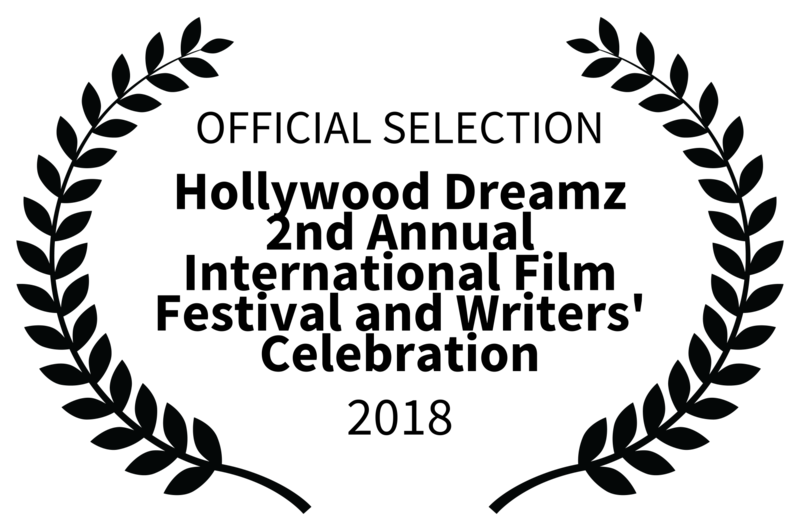 The film was also nominated for Best Short Documentary! 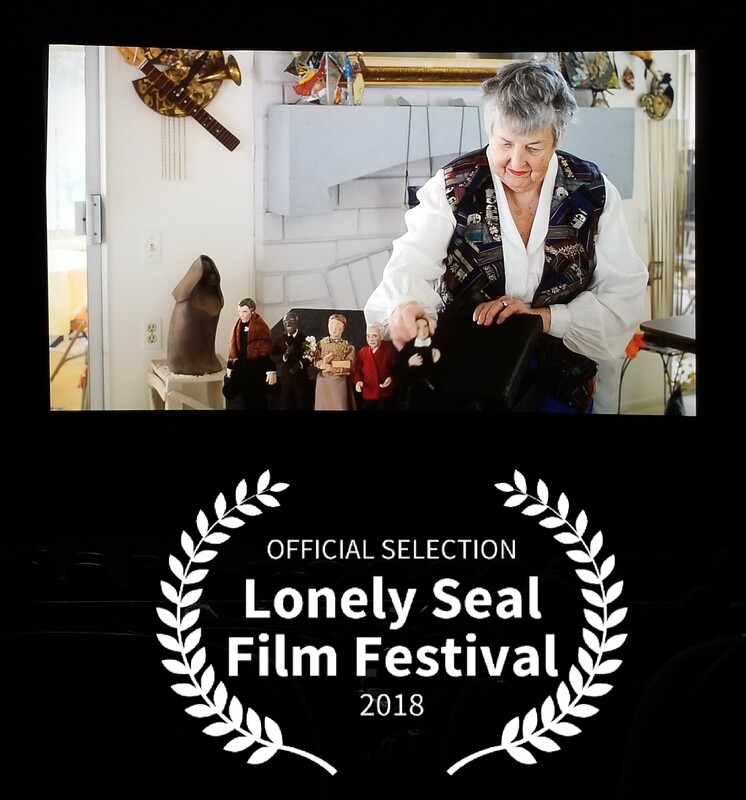 This is the films first screening in Canada and we are thrilled! 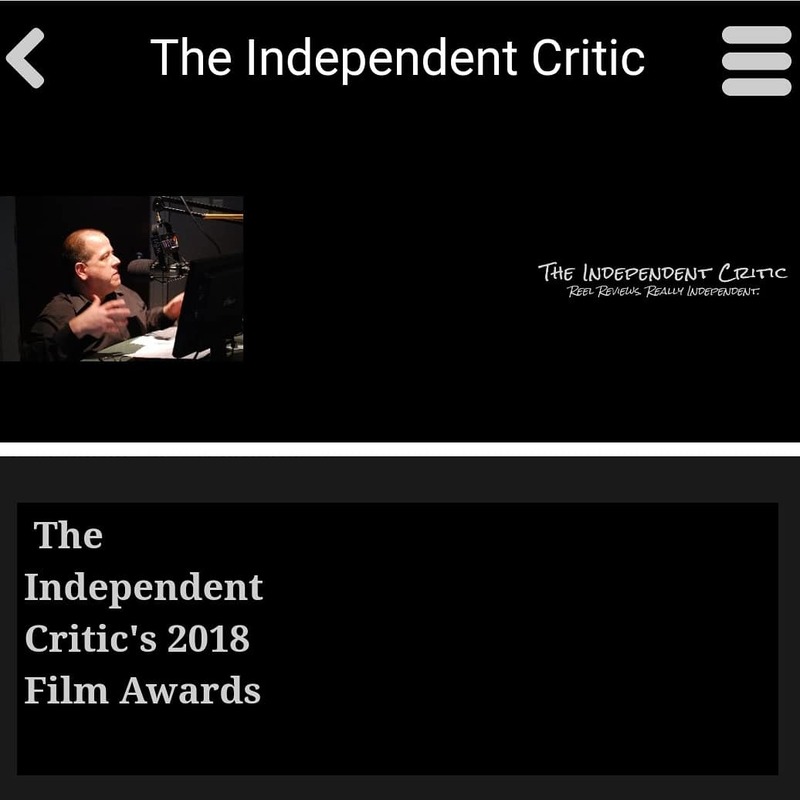 1.2.19 We are honored to ring in the New Year with the fantastic news that The Last Doll Lady made The Independent Critic Top 2018 review! 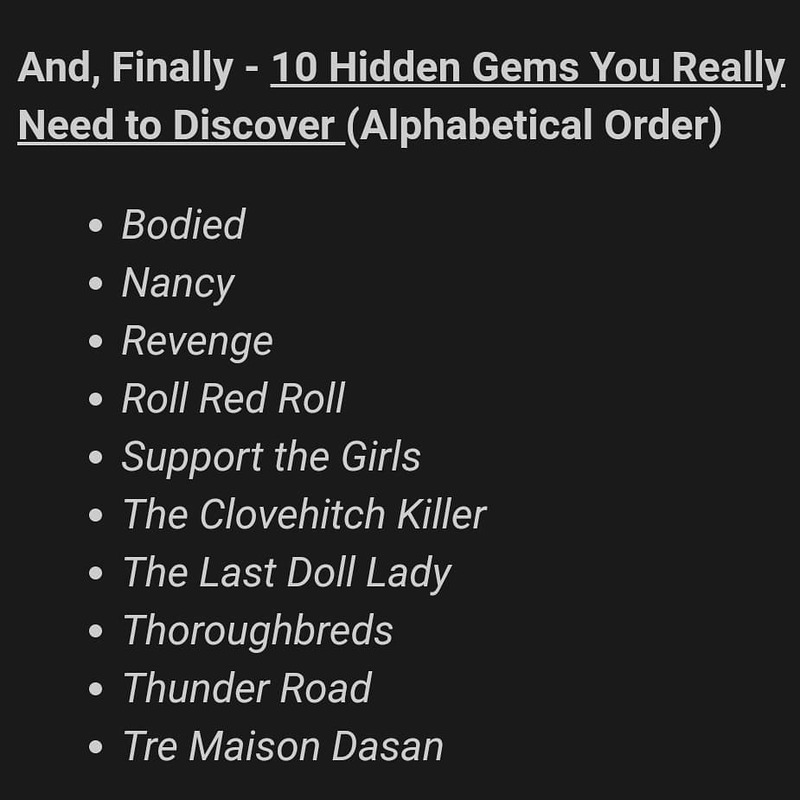 The film is listed under "10 hidden gems you really need to discover". We can't thank Richard enough, 2019 is going to be great! 11.27.18 Wow! 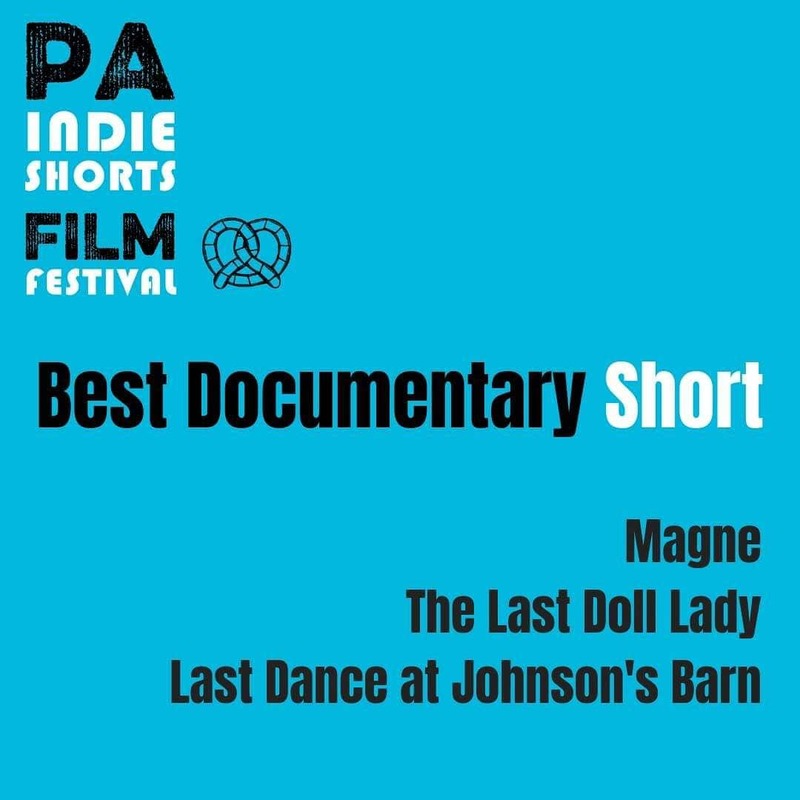 The Last Doll Lady was nominated for Best Documentary at the PA Indie Shorts Film Festival. 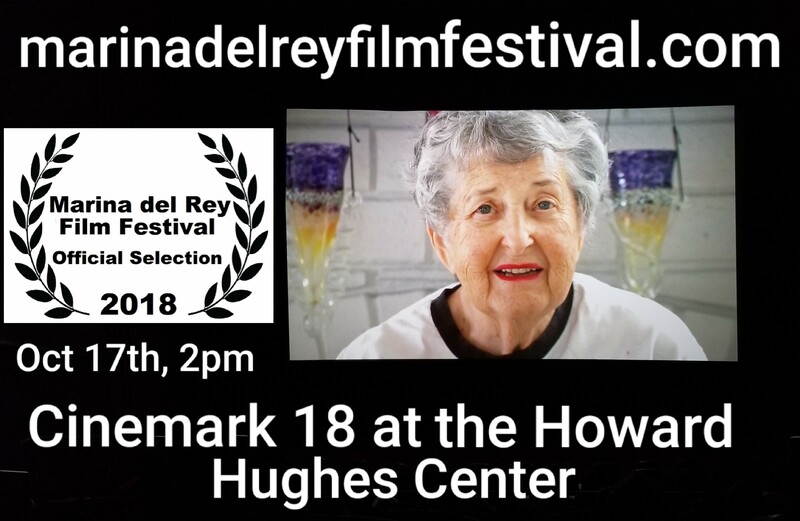 10.4.18 The Last Doll Lady has been accepted to the Marina del Rey Film Festival! 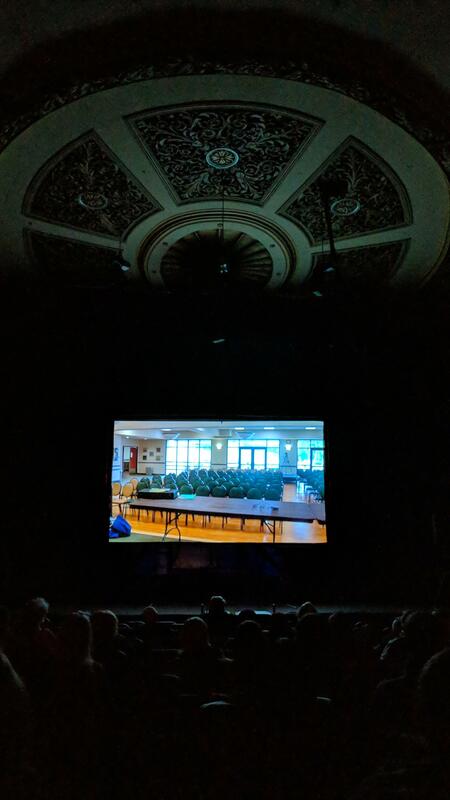 We have screened at this location before and are SO excited to screen there again.The screening takes place on Oct 17, during the 2pm block, click here for more details. 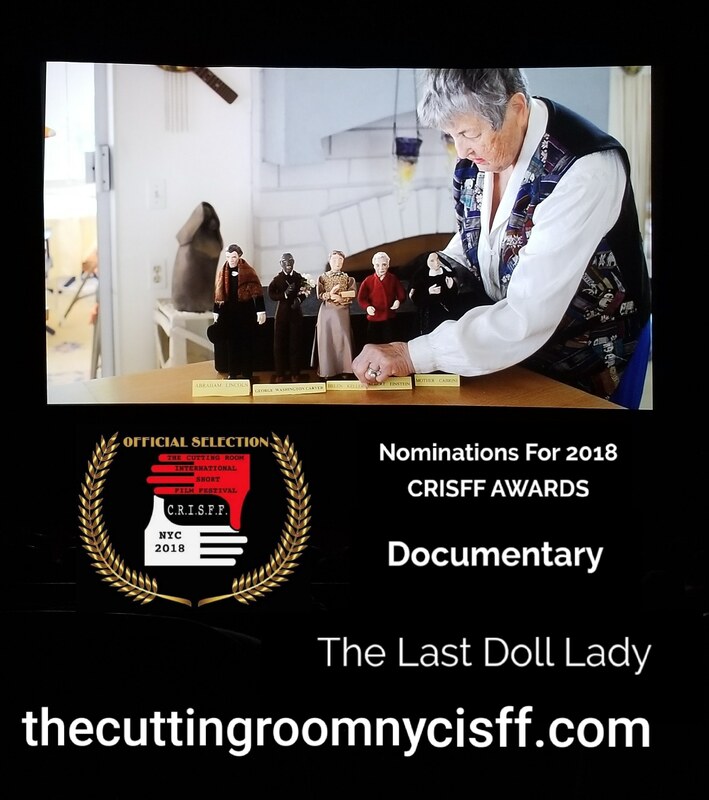 9.13.18 The Last Doll Lady is coming to New York! 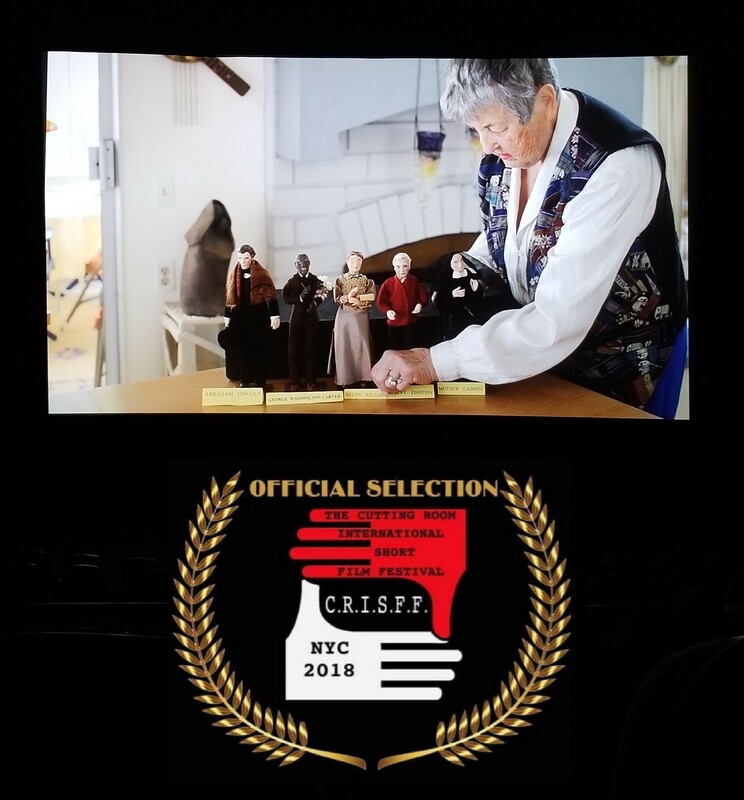 The film is an official selection of the Cutting Room International Short Film Festival (CRISFF). The festival takes place in October, in Manhattan. 9.6.18 WOWZA! 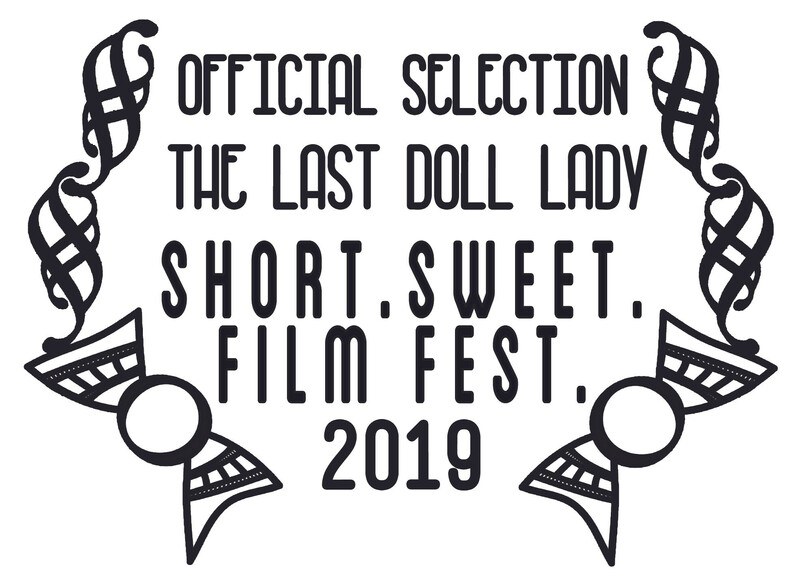 We found out that The Last Doll Lady was accepted to two new festivals! 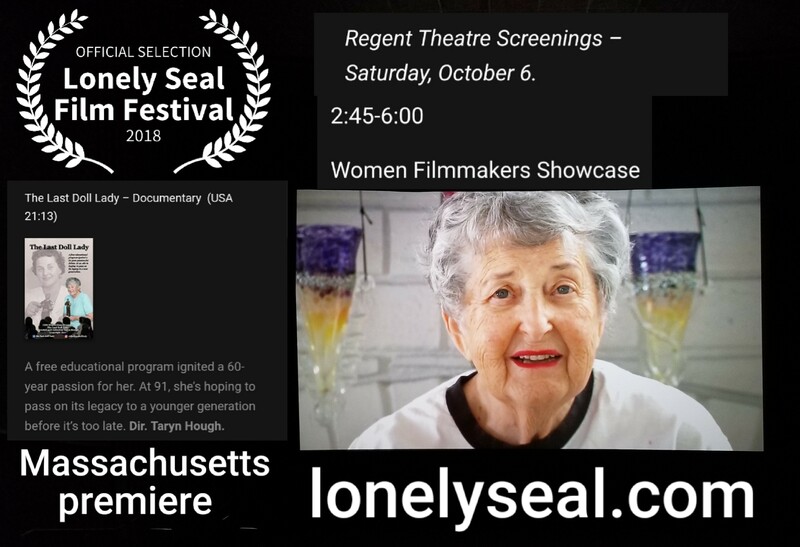 The film will be screening at the Lonely Seals Film Festival, which takes place in October in Boston, MA. 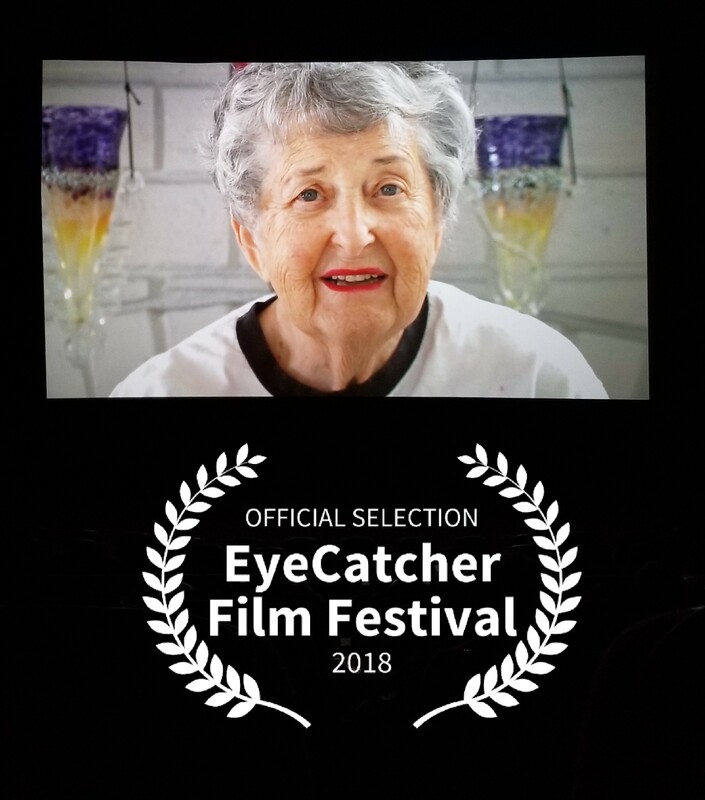 The short documentary will also screen at the EyeCatcher Film Festival, which takes place in Oklahoma in November. We are SO EXCITED and shocked! 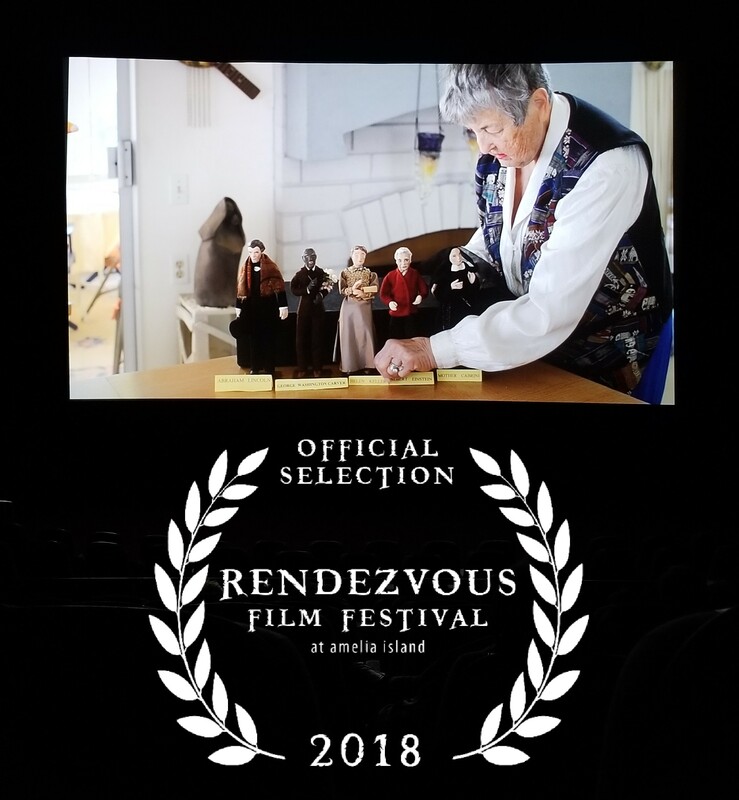 9.1.18 I just found out that The Last Doll Lady has been accepted to its first women's festival! 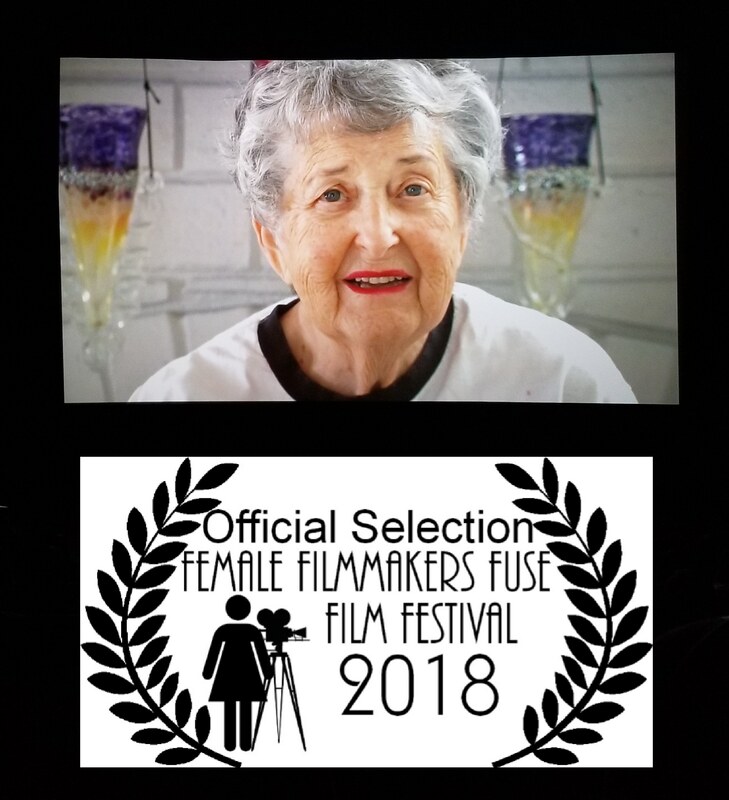 The film is an official selection of the Female Filmmakers Fuse Film Festival. 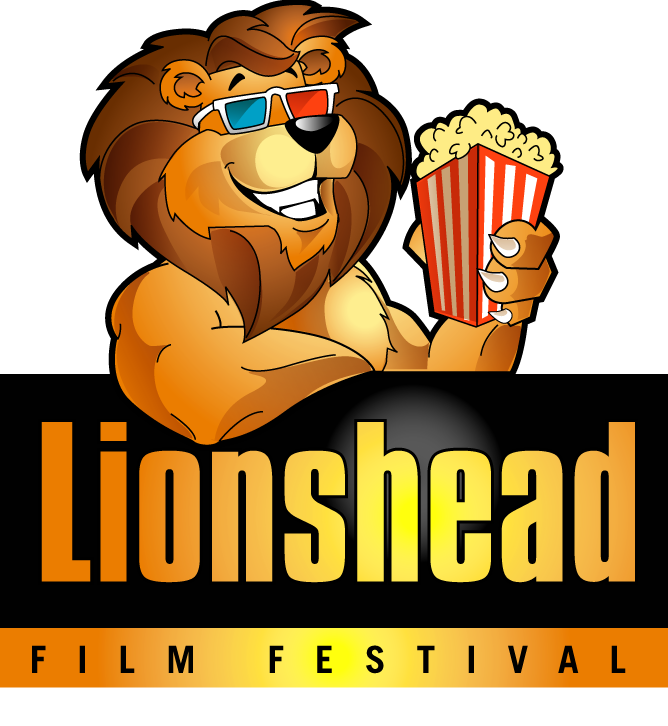 The festival takes place in Pasadena, CA, Nov 1&2. More info coming soon! 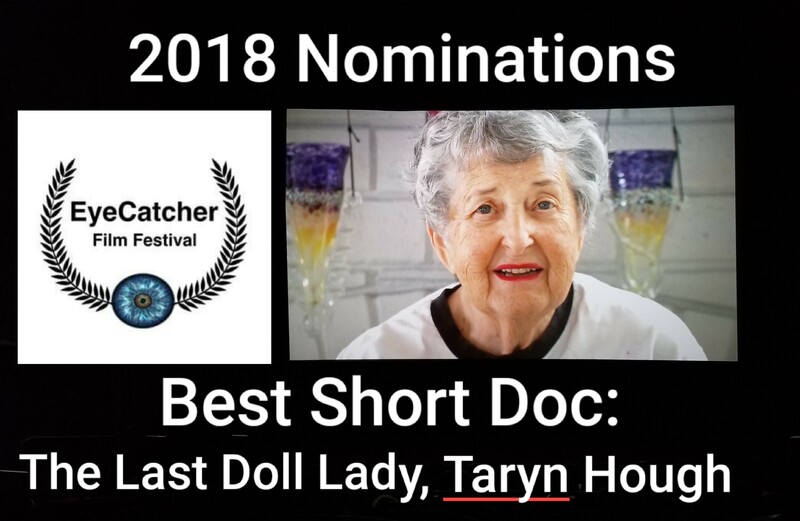 8.2.18 The Last Doll Lady was nominated at the Hollywood Dreamz Film Festival for Best Political Documentary! We are honored and humbled by the nomination, fingers crossed! 7.28.18 WOW! 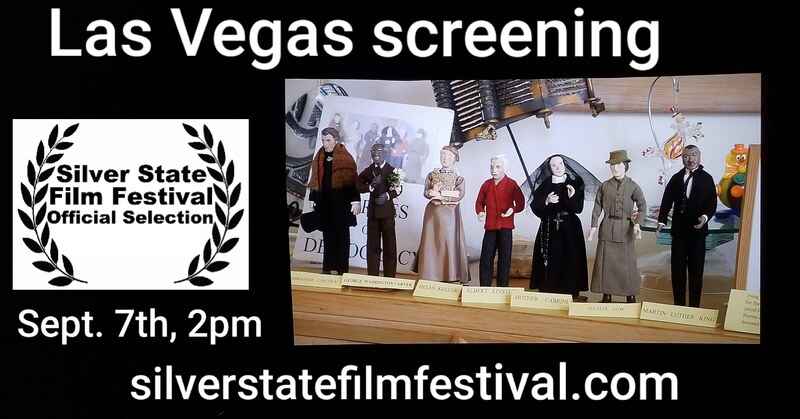 We just found out that The Last Doll Lady has been accepted to the Silver State Film Festival. The festival takes place in Las Vegas, NV in the beginning of September, exact screen time TBD. 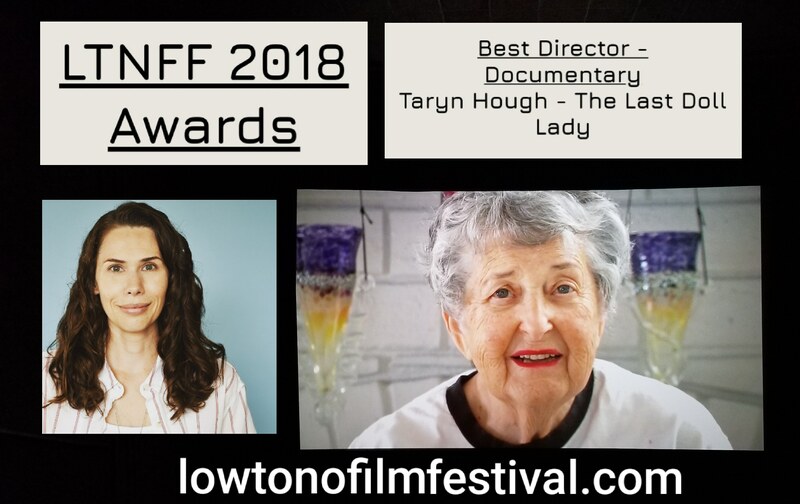 7.25.18 The Last Doll Lady has been nominated for two awards at the Low to No Film Festival! 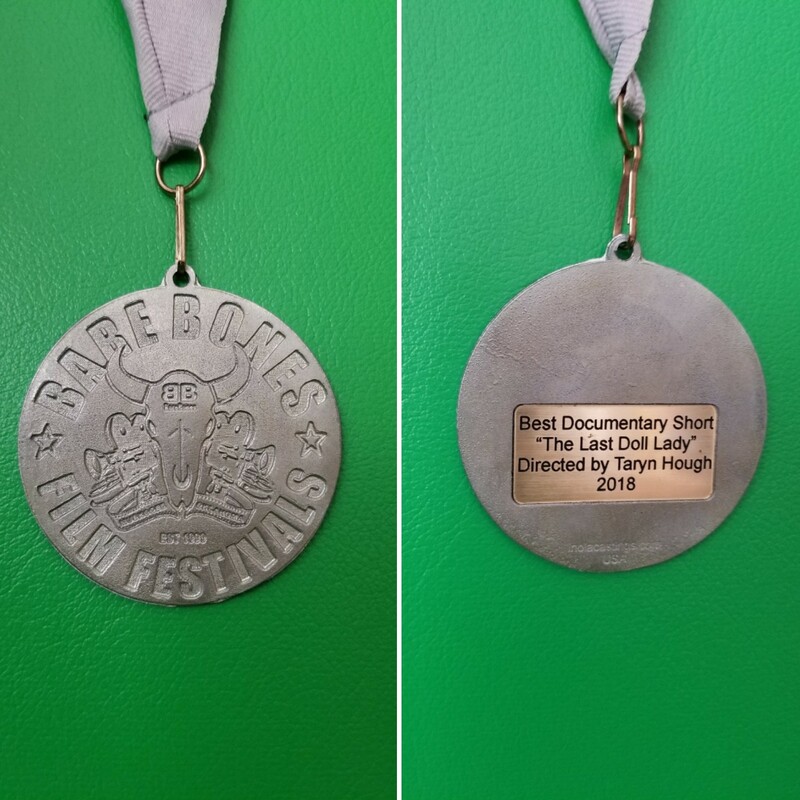 The film was nominated for Best Documentary, and Taryn Hough recieved a nomination for Best Director of a Documentary. How cool is that!? 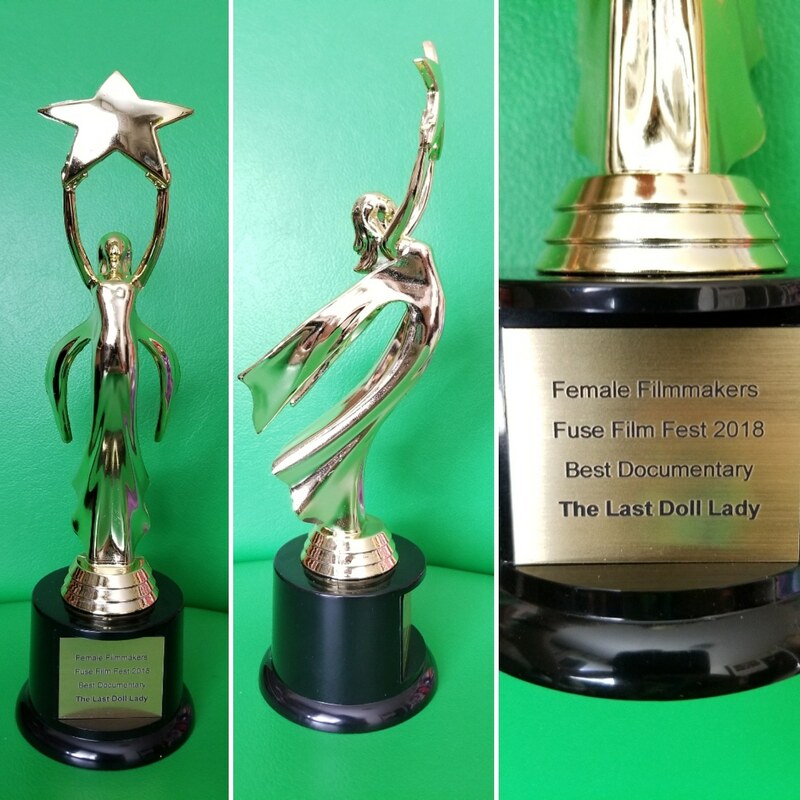 7.20.18 I am so excited to say that The Last Doll Lady has been nominated for an award at the Fly Film Festival. 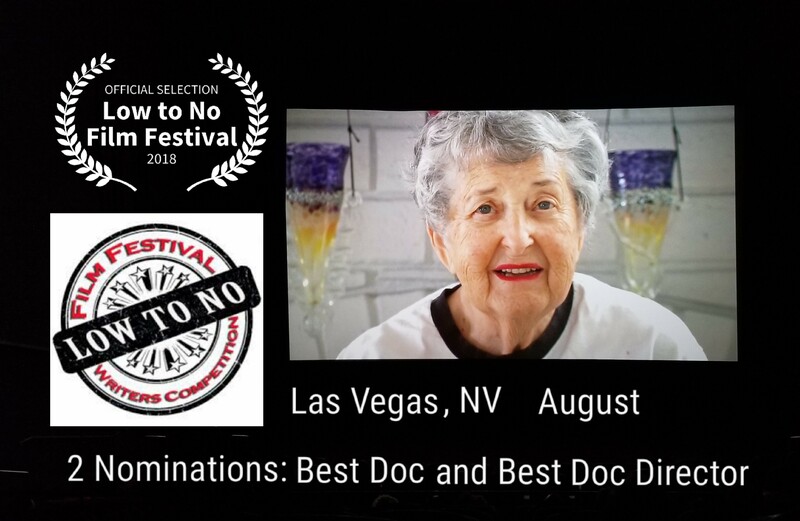 The film was nominated for Best Documentary, and, is screening twice at the festival!! 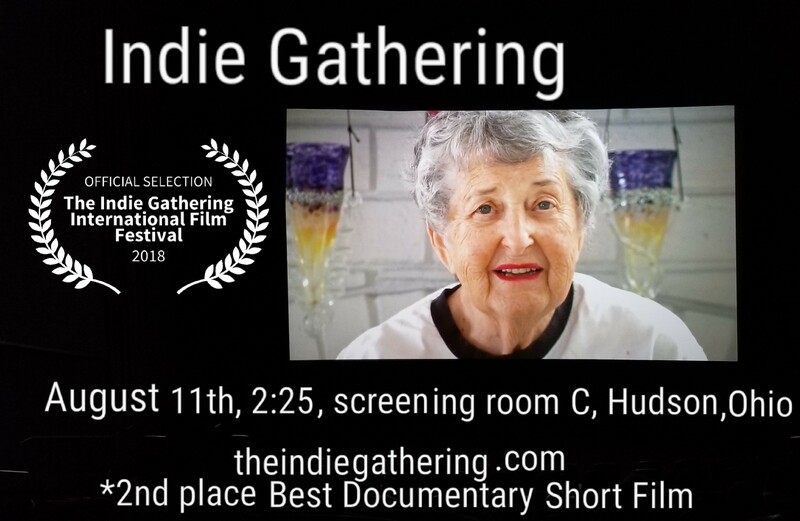 7.4.18 We are humbled and excited to announce that The Last Doll Lady is an official selection of The Indie Gathering Film Festival.  Not only that, but the film Won 2nd place Best Short Documentary! 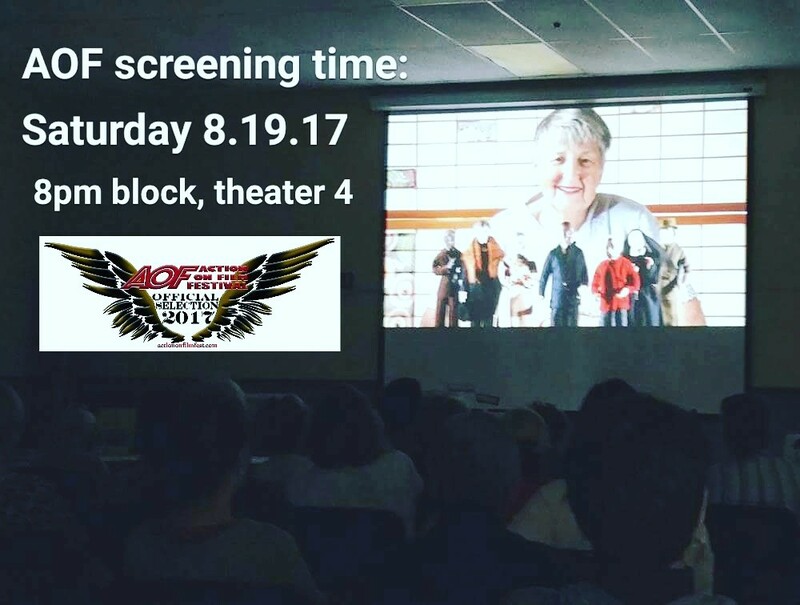 The film is screening on August 11th at 2:25p, in Hudon, Ohio. 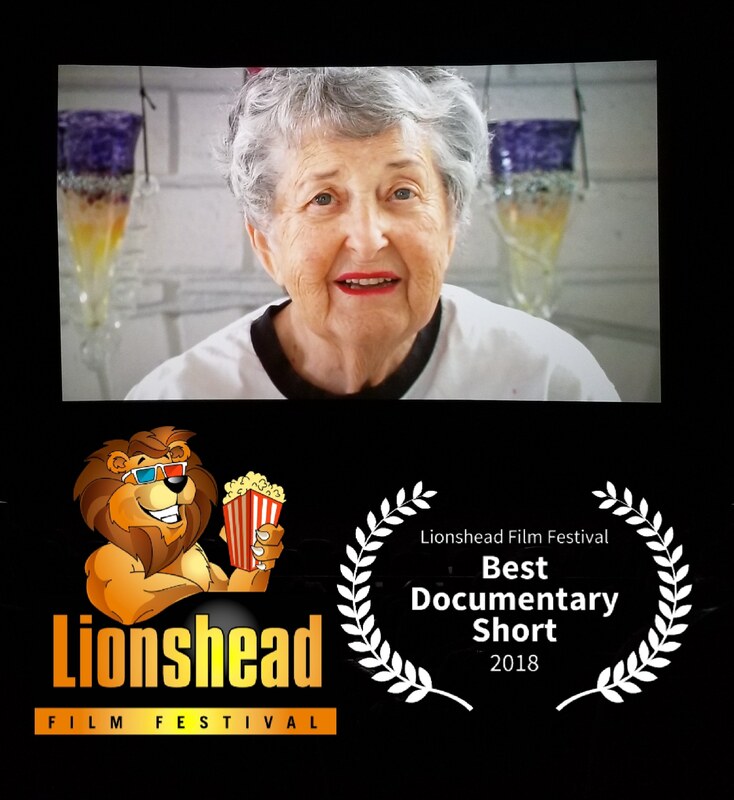 6.25.18 We just found out that The Last Doll Lady has been selected for the Lionshead Film Festival! The festival takes place in Dallas, Texas, on August 4th. 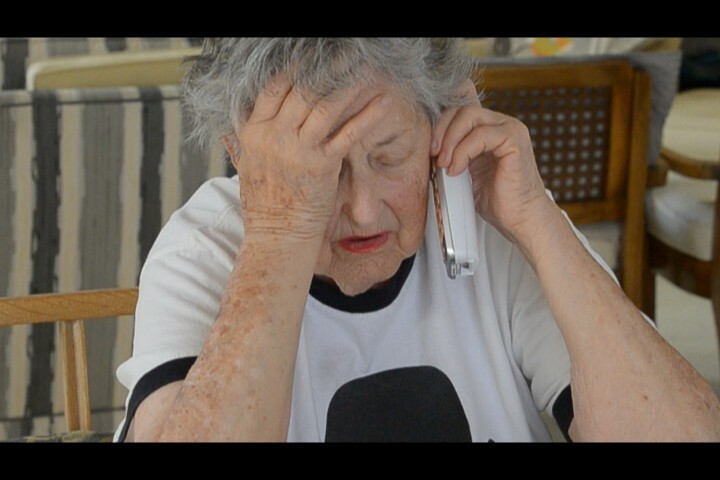 Specific screening time coming soon, we are very excited! 6.13.18 Wow! 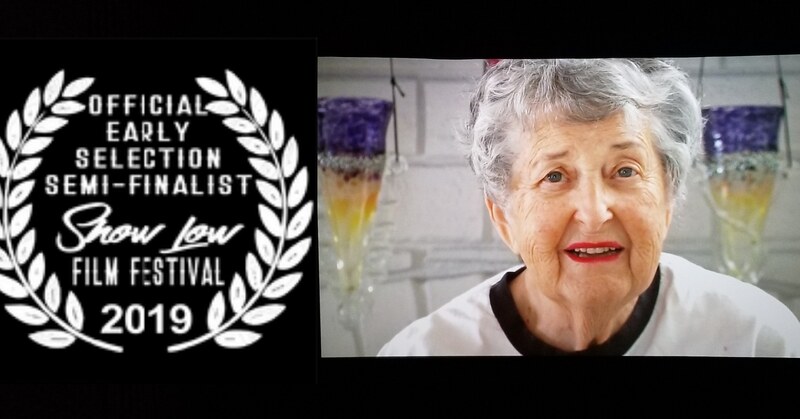 The Last Doll Lady is an official selection of the Low to No Film Festival! The festival takes place in Las Vegas, during the month of August, specific screen time coming soon! 5.28.18 AHHH! 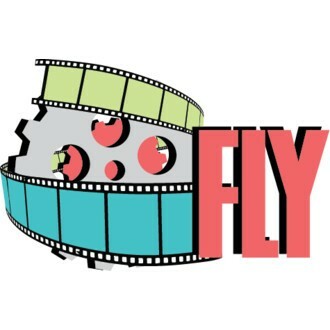 We just found out that The Last Doll Lady is an official selection of the FLY Film Festival! How cool is that!? 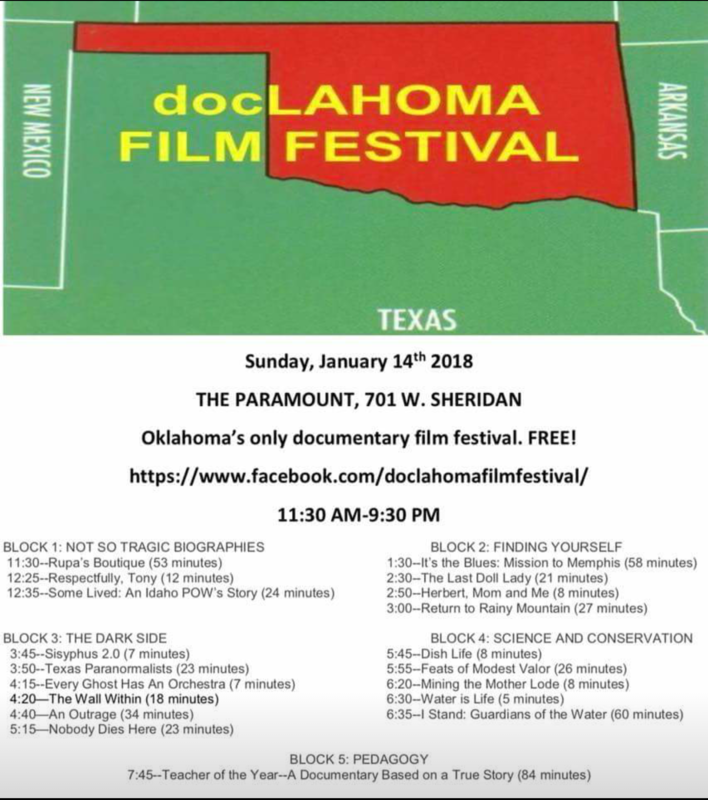 The festival takes place in Oklahoma, August 9-11. 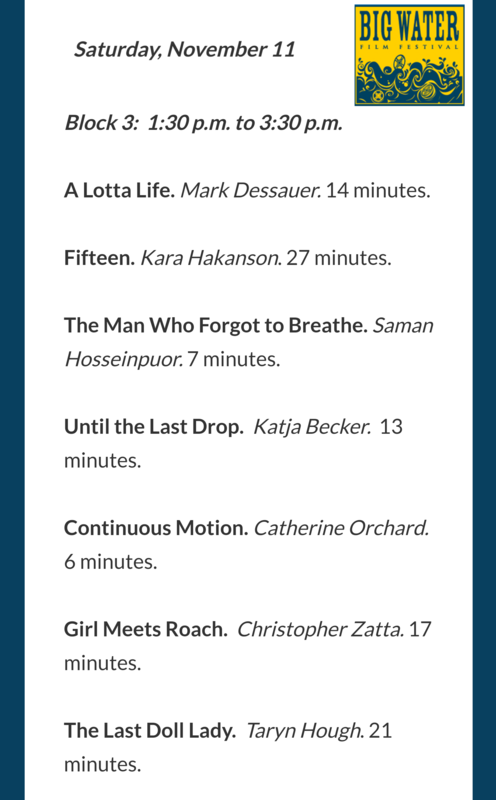 Screen time TBD! 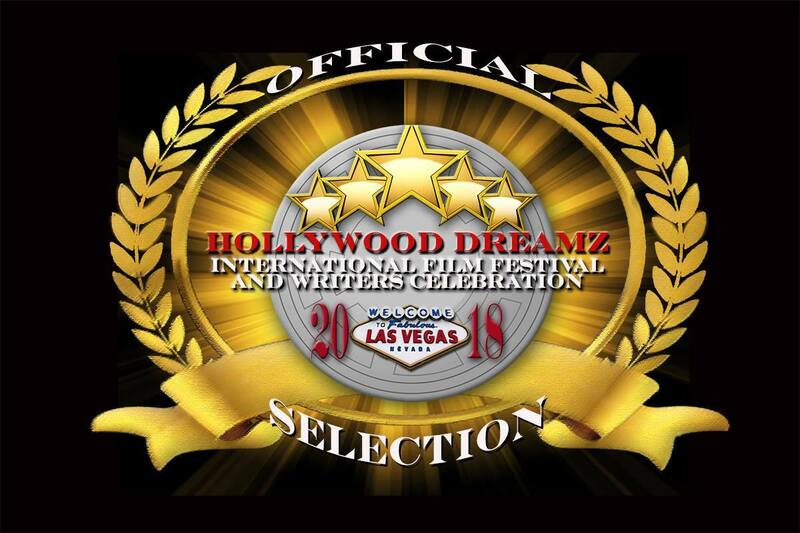 5.23.18 We are very happy to say that The Last Doll Lady was accepted to the Hollywood Dreams Film Festival! The fest takes place in Las Vegas, in August.  Screening time TBD! 5.1.18 WOW! 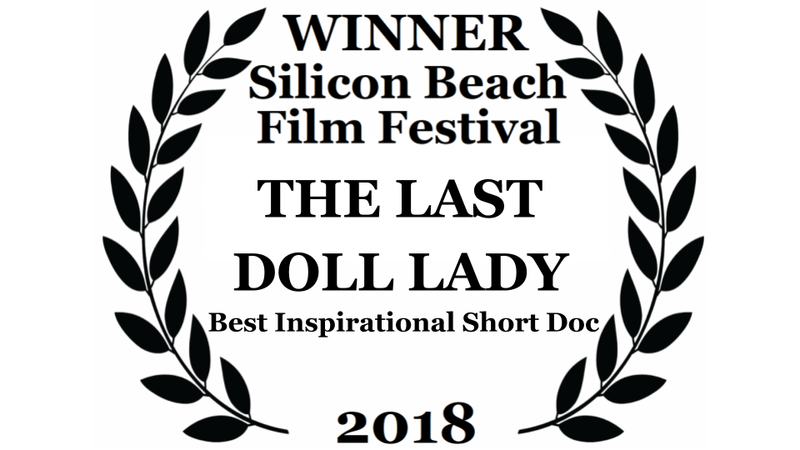 We just found out that The Last Doll Lady won an award from the Bare Bones Film Festival (Best Short Documentary) AND the Silicon Beach Film Festival (Best Inspirational Short Documentary). We are stunned and honored. We have been a fan of the Bare Bones FF for a long time, so to win an award from them feels like a dream! 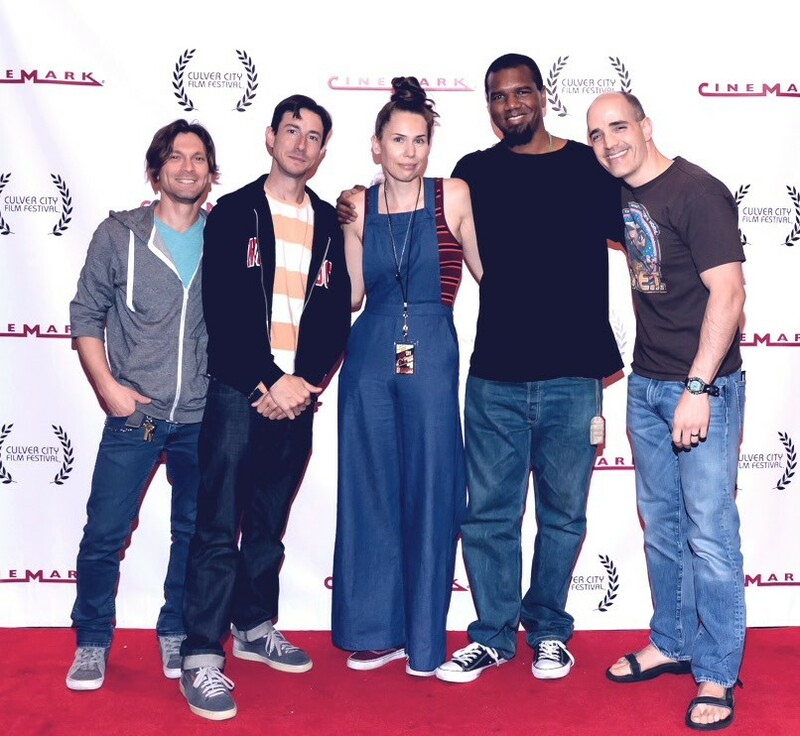 We attended the Silicon Beach FF, which had a great screening and Q&A. Below are some pics from the festivals and awards. 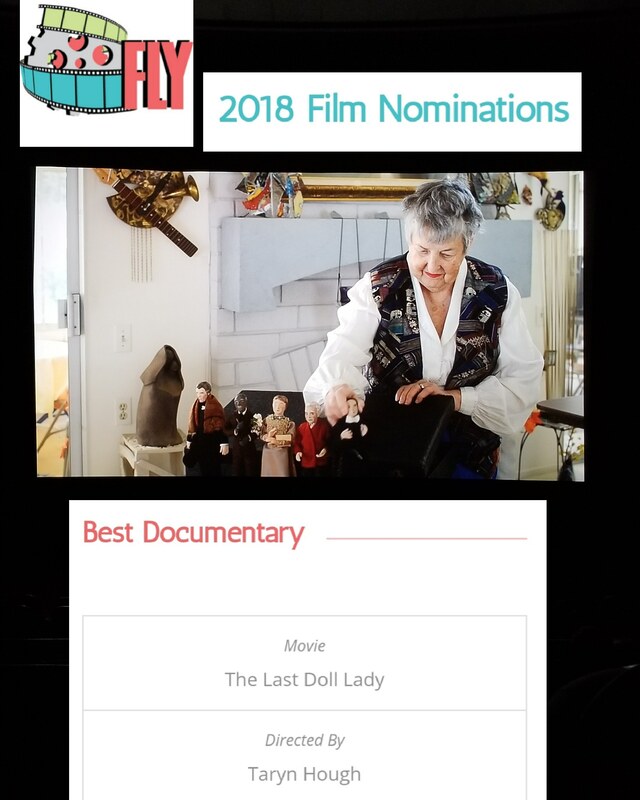 3.25.18 We just found out that The Last Doll Lady was nominated for Best Short Documentary at the Bare Bones Film Festival! 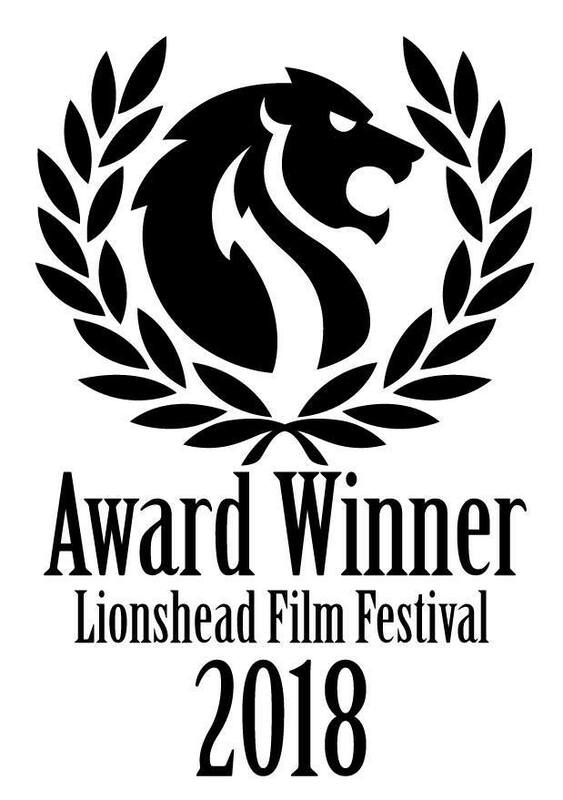 We are thrilled to be nominated at this festival, that alone is like a win! 3.23.18 The Media Film Festival has released their schedule! 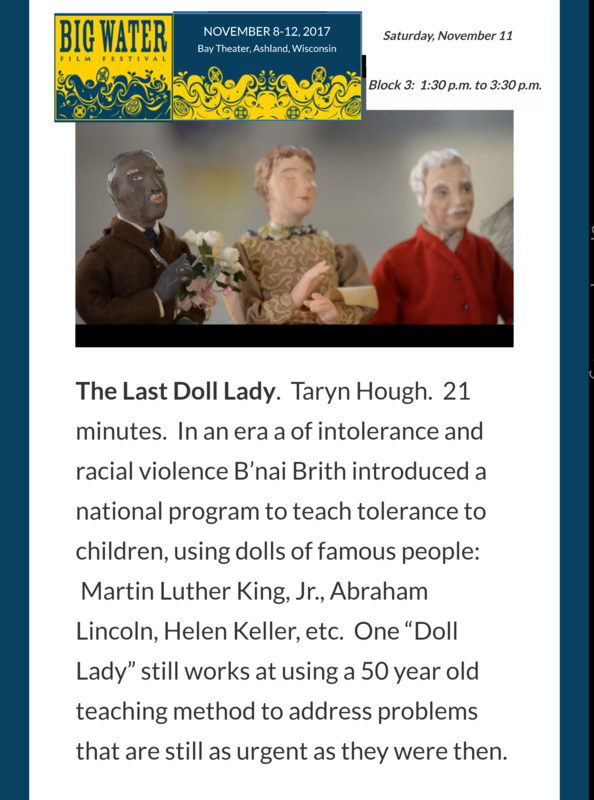 The Last Doll Lady will screen on Saturday April 7th, during the 1pm block. Click here to purchase tickets. 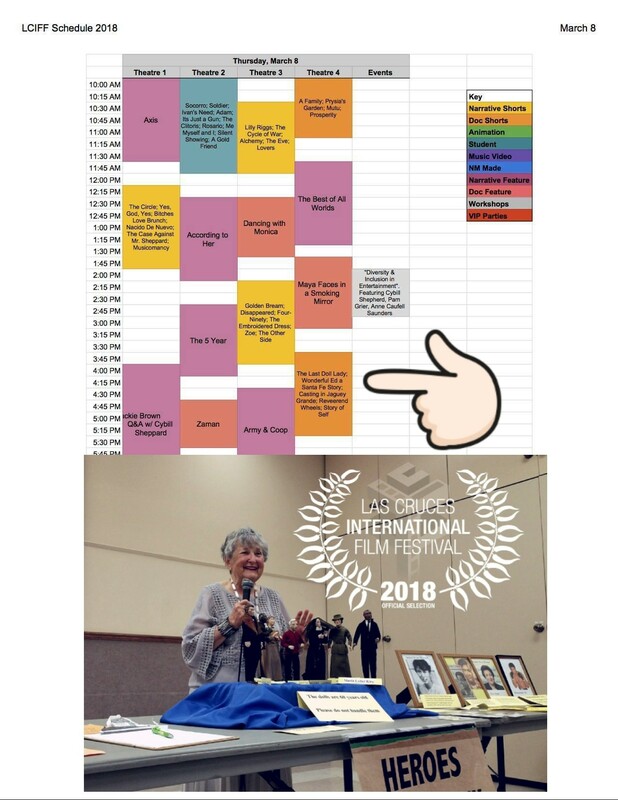 3.15.18 We had an amazing time at the Las Cruces International Film Festival! 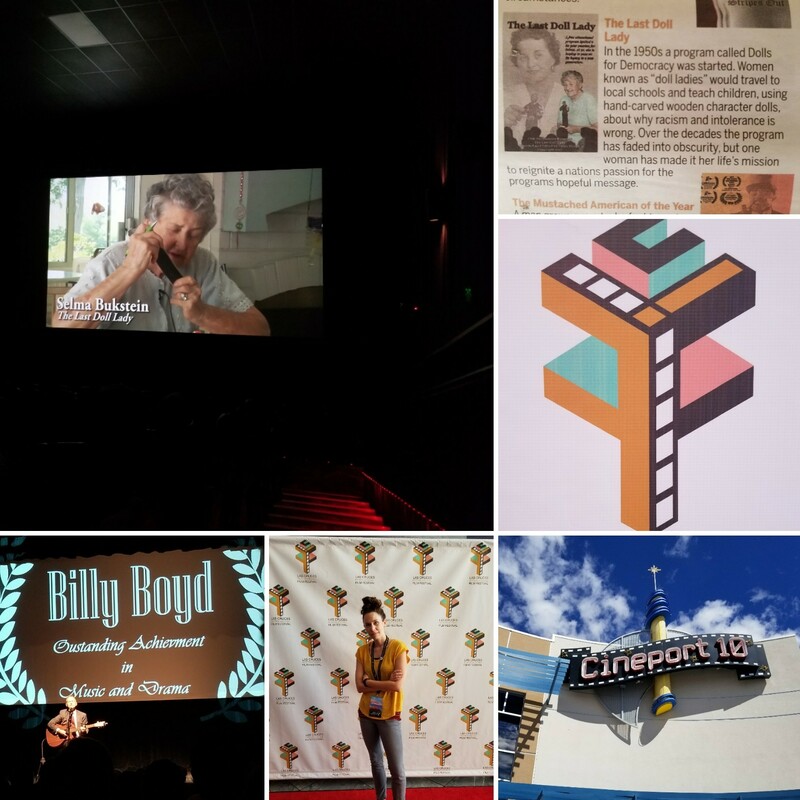 We made so many new friends, saw some amazing films and enjoyed seeing New Mexico for the first time. 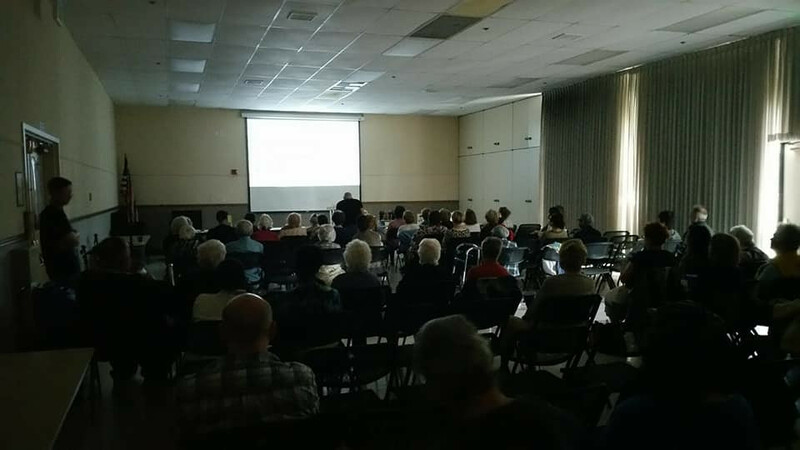 The Last Doll Lady had a GREAT screening to a packed audience who really enjoyed the film. 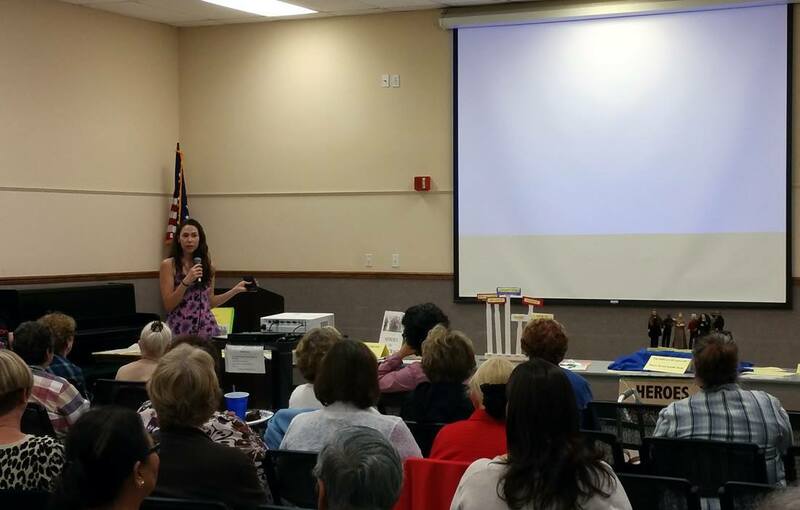 Click here to see some photos from the festival! 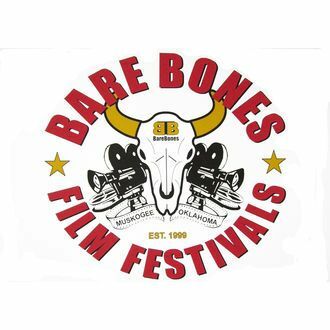 2.21.18 We have the screening time for The Last Doll Lady at the Bare Bones Film Festival! The short will screen on Saturday, April 28th at the 3 Rivers Museum venue, during the 11am block. 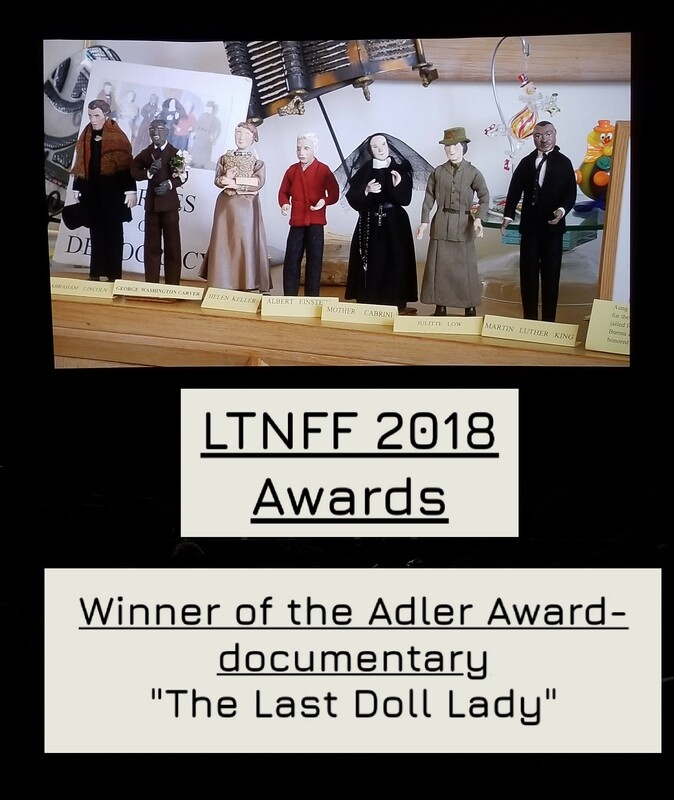 2.15.18 We just found out that The Last Doll Lady was accepted to the Media Film Festival! 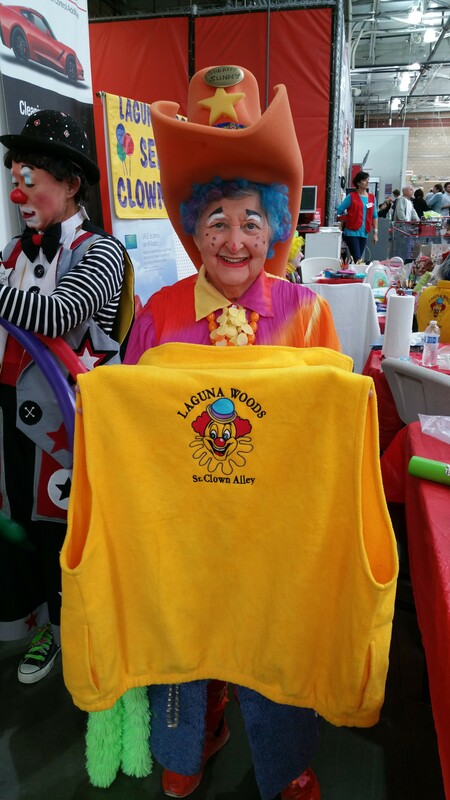 We have attended this festival several times and it is easily one of our favorites! It takes place in Media, PA, April 5-7. Exact screening time coming soon! 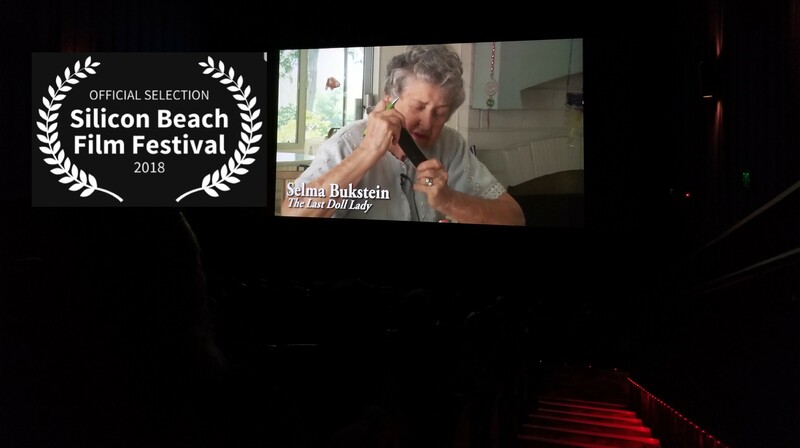 "The Last Doll Lady centers around Selma Bukstein, who is best described as a 91-year-old national treasure"
"Instead, The Last Doll Lady is simple a poignant tribute to a wonderful woman who has spent the vast majority of her adult life trying to make life better for others"
"The Last Doll Lady feels like a special little film and one can almost feel Hough's affection for the subject matter in every frame"
"With Intelligence and sensitivity, Hough has crafted her best film yet with The Last Doll Lady, a wonderful little doc short that will leave you smiling and grateful and, yes, even a little more aware"
12.5.17 The Last Doll Lady is screening at the Culver City Film Festival on Saturday, Dec.9th, at noon. 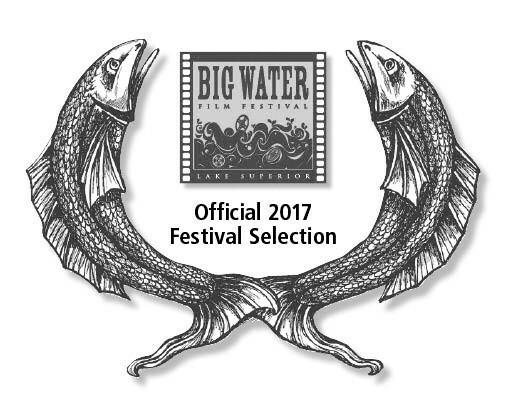 We are SO excited to be screening at this fantastic festival. 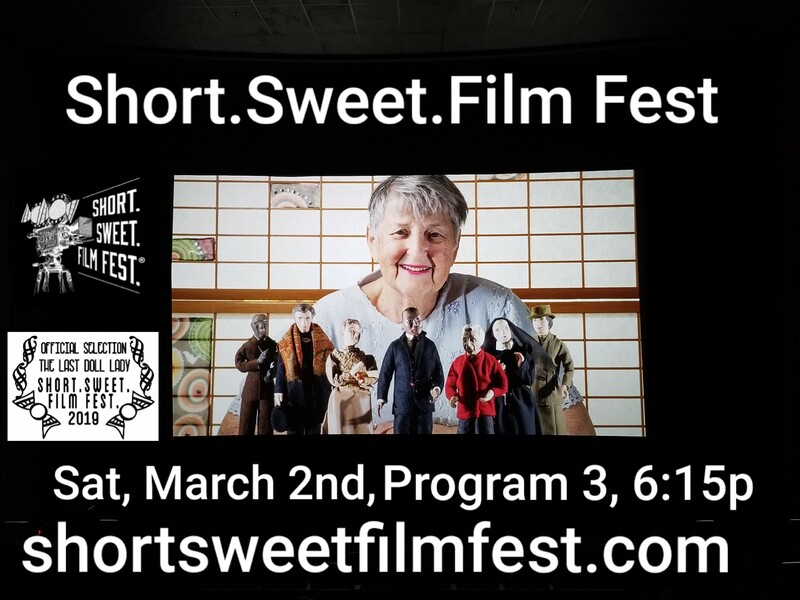 You can purchase your tickets for the festival by clicking here, or at the theater before the screening. 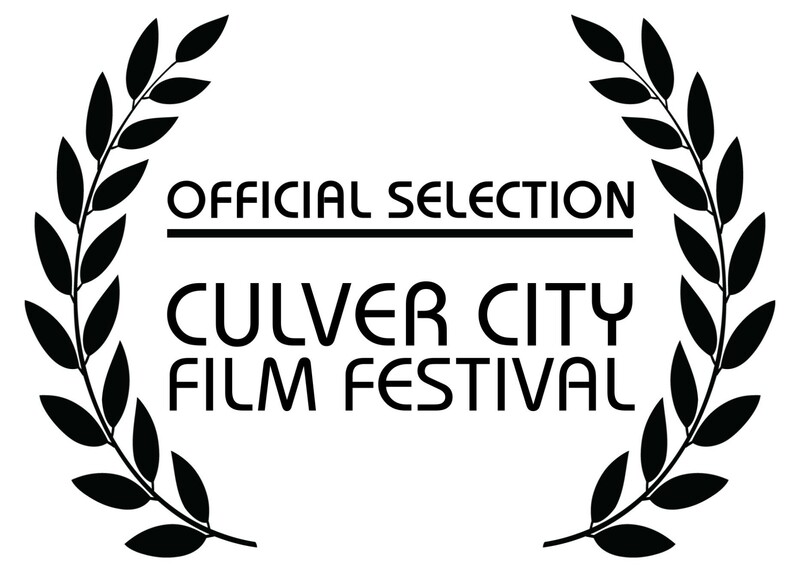 11.12.17 I'm so excited to say that The Last Doll Lady is an official selection of the Culver City Film Festival! 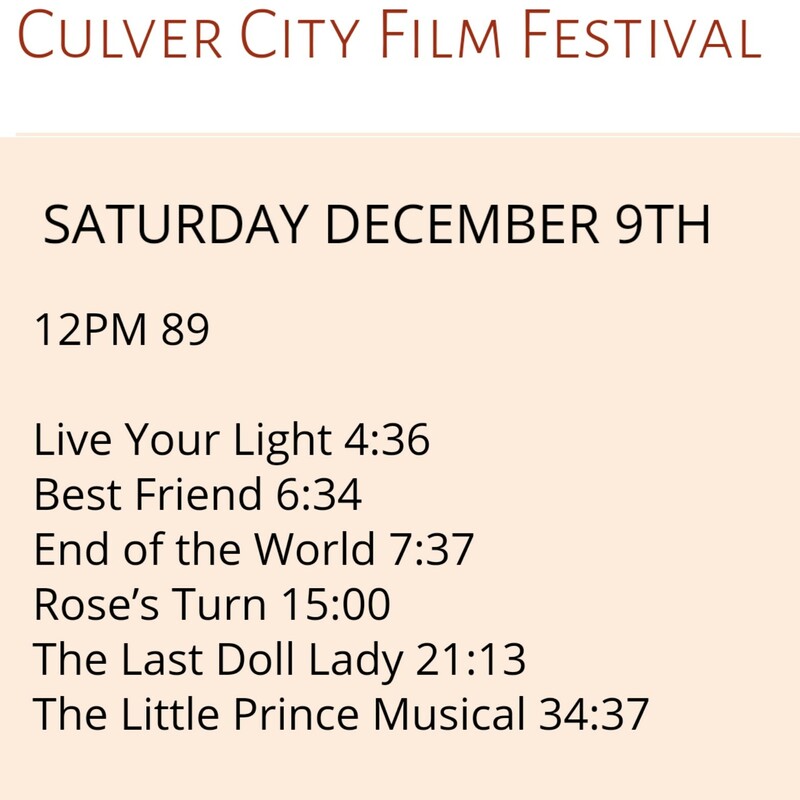 The festival takes place Dec 4-11, in Culver City, CA. The exact screening date/time coming soon. 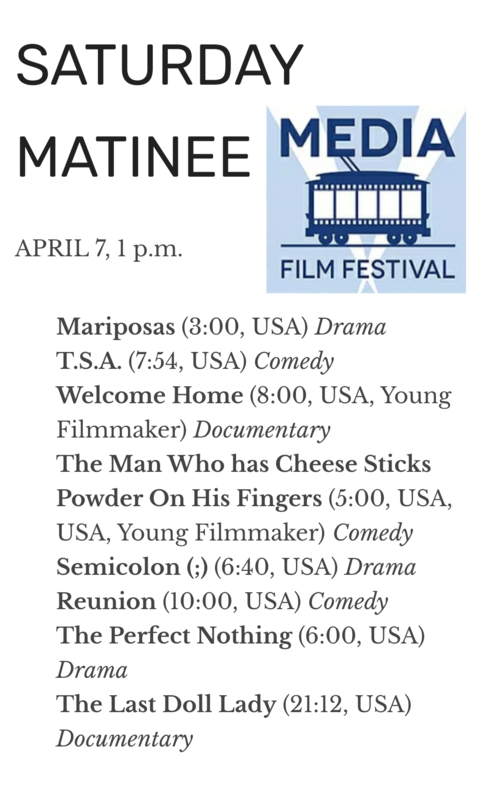 We're so honored to be screening at this festival and can't wait to attend! 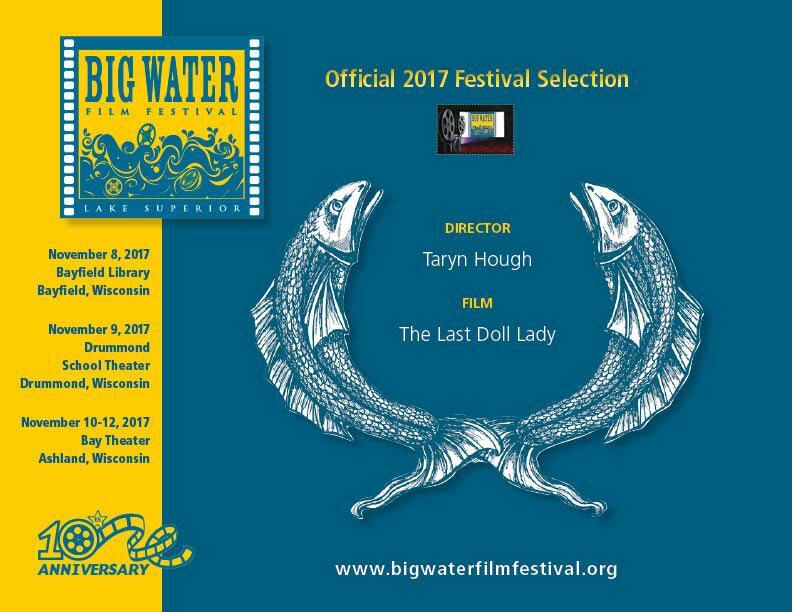 9.10.17 We are honored to announce that The Last Doll Lady has been accepted to the Big Water Film Festival! The festival takes place in Wisconsin in mid November. The screenings happen in a vintage theater,- how cool is that!? We're super excited for the screening, more info coming soon. 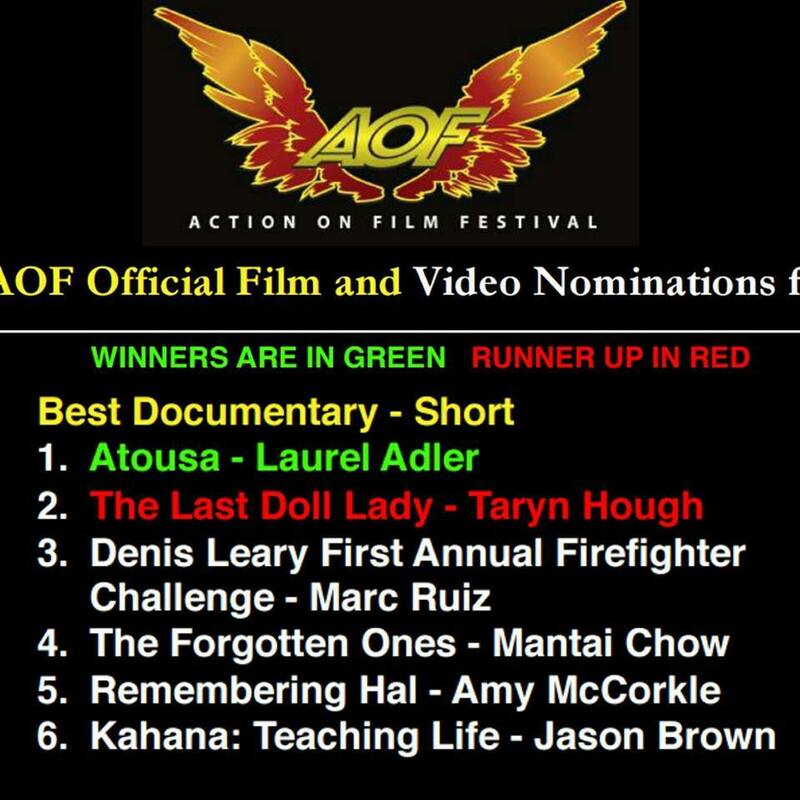 8.16.17 We are thrilled and humbled to announce that The Last Doll Lady has been nominated for Best Documentary Short at the Action on Film Festival. 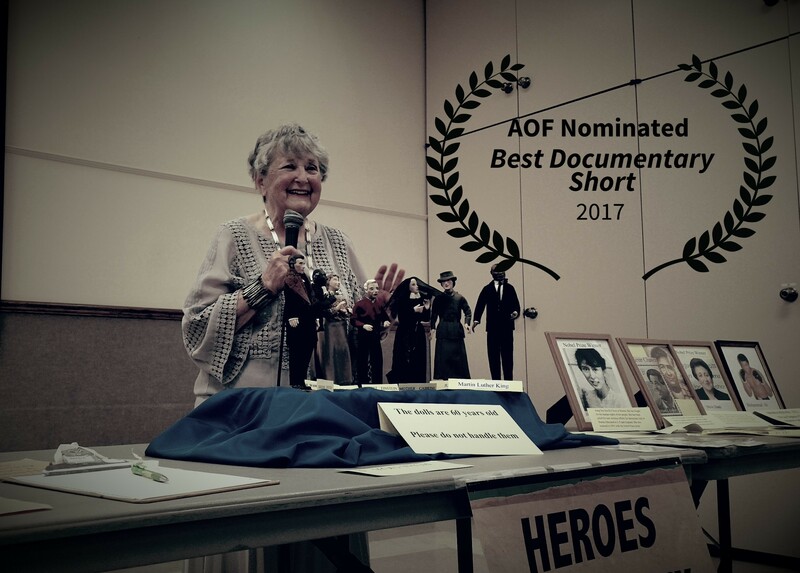 We're still in shock at the nomination, thank you to everyone at AOF for recognizing the short film, more info coming soon! 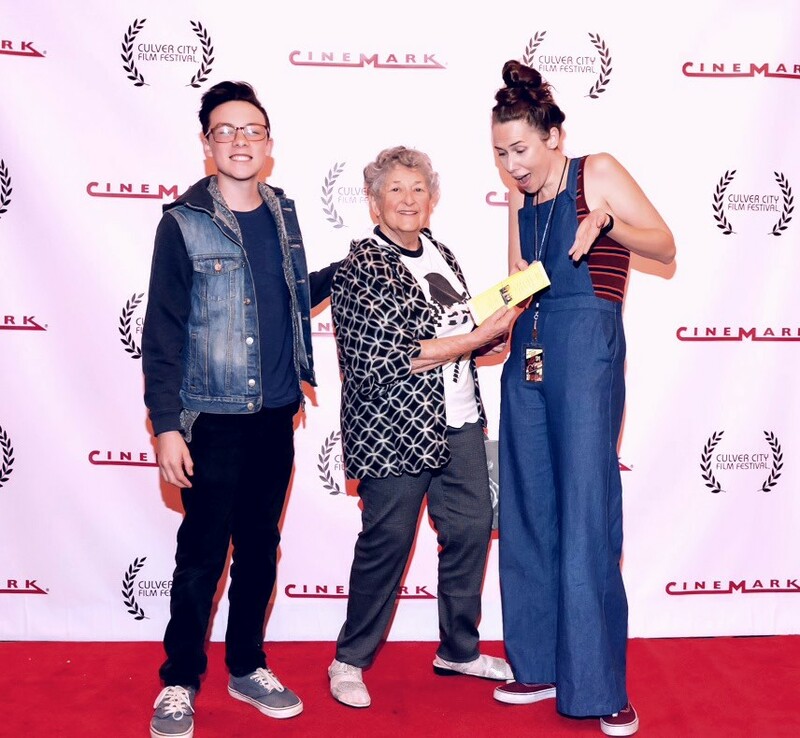 7.31.17 We just found out that The Last Doll Lady is a semi finalist at the Marquee on Main Film Festival! 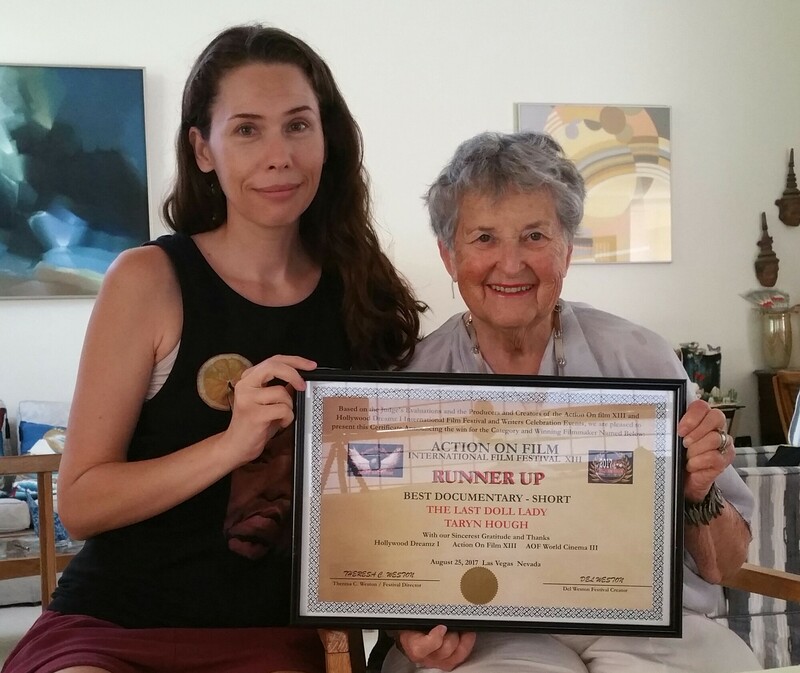 The festival received 723 submissions and narrowed that down to 123 semi finalists and we made the cut! More info coming soon! 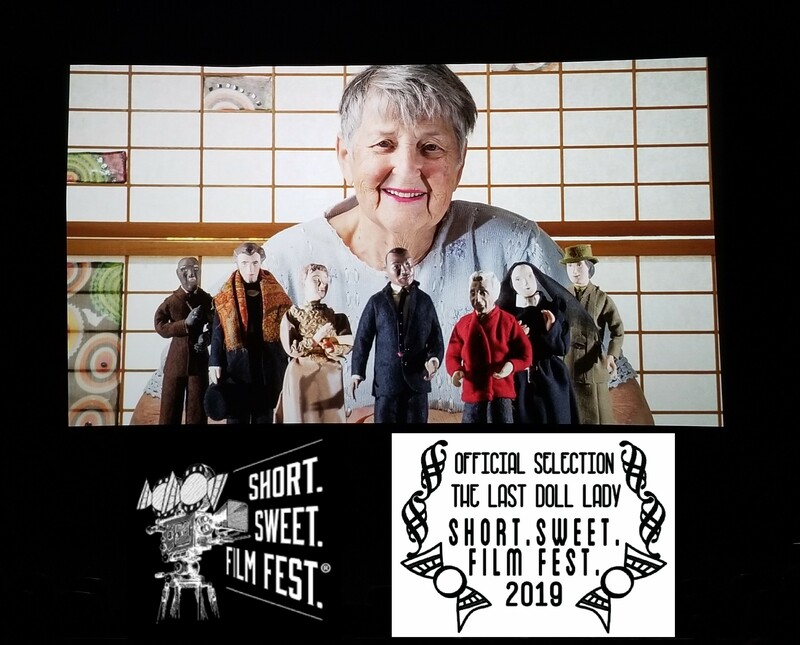 6.27.17 We are thrilled to say that The Last Doll Lady has been accepted to the Shortz! 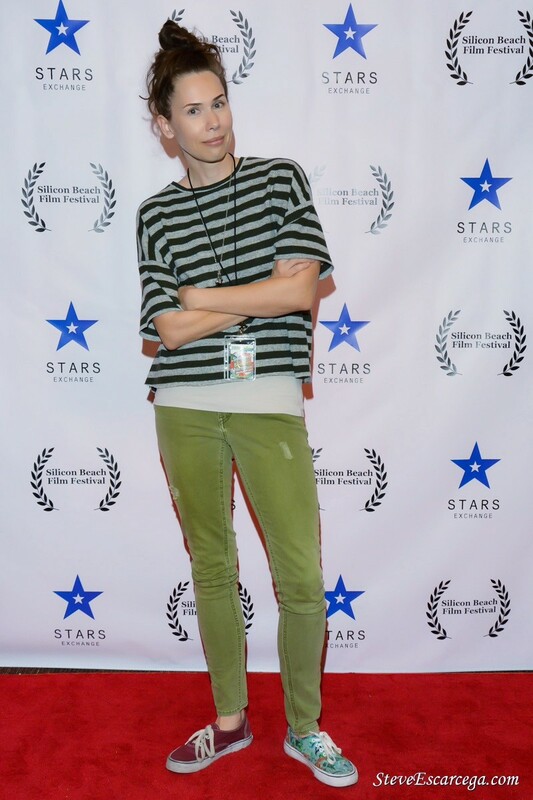 Film Festival! 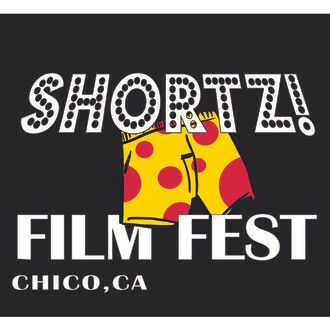 The festival takes place July 15-16 in Chico, Ca. 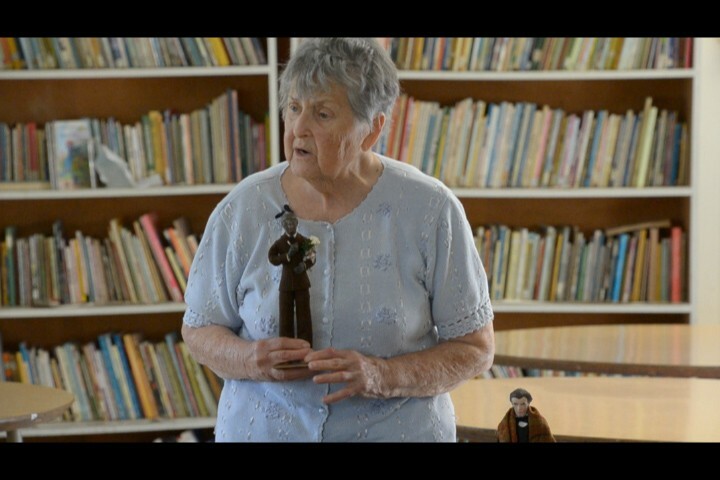 The Last Doll Lady is screening on Saturday July 15th during Block 3 (3pm) at the Chico Theater Company. This looks like a really cool festival and everyone who runs it has been so nice! Check back soon for pictures from the event! 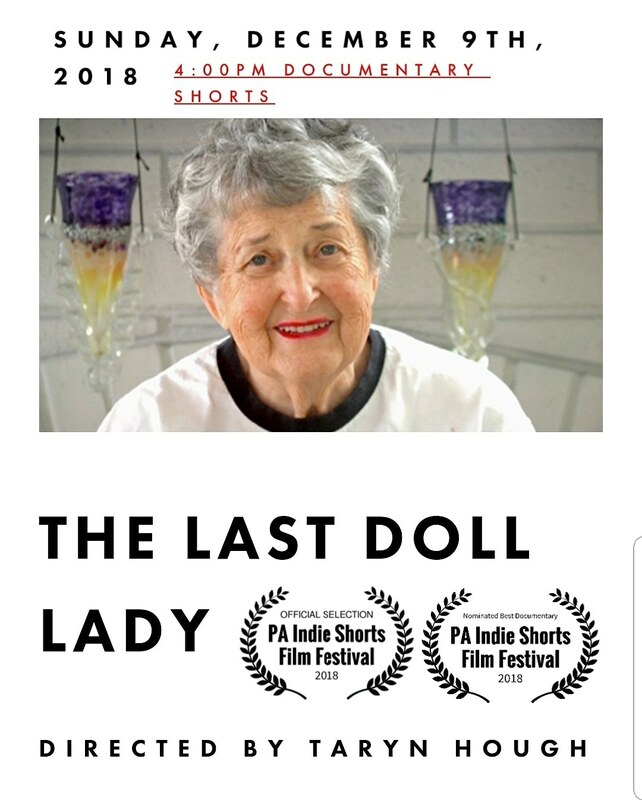 6.1.17 We are so excited to say that The Last Doll Lady has been accepted to it's first film festival! 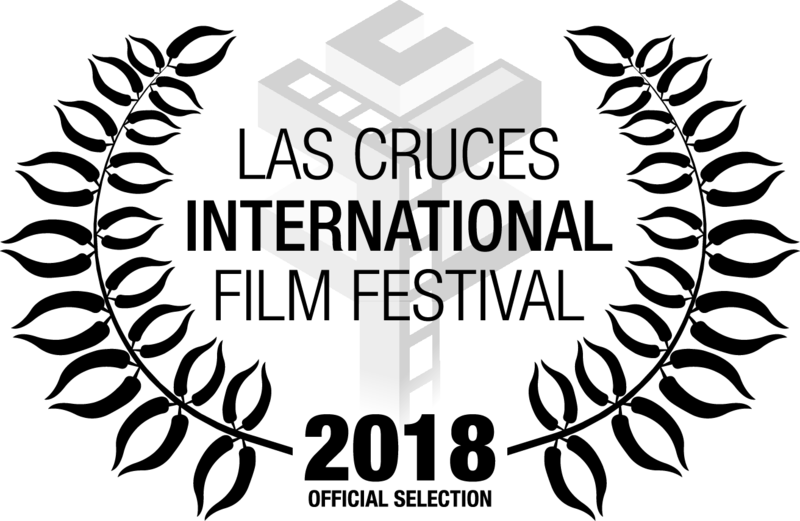 The short will screen at The Action on Film Festival this August in Las Vegas, NV. More info coming soon! 5.12.17 Here is the poster for The Last Doll Lady, we love it! Great work Cherrie Hamilton! 5.9.17 We are thrilled to announce that the Last Doll Lady is finished!!! 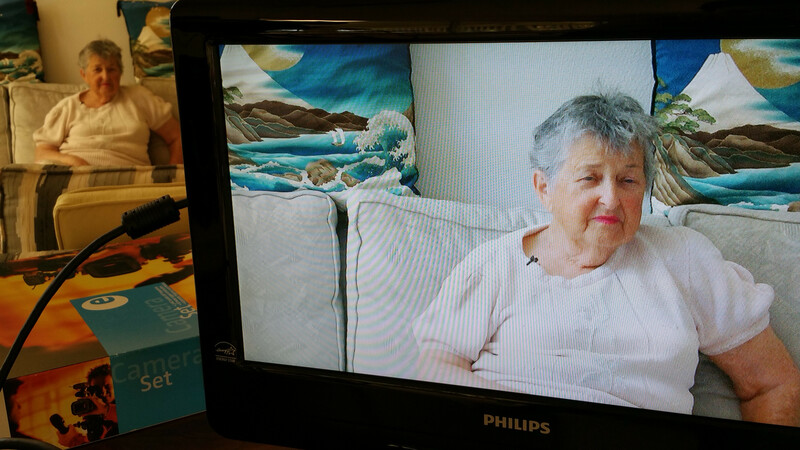 We are in love with how the documentary came out and can not wait to share Selma's story with the world!! 7.4.16 Wow, wow, wow! 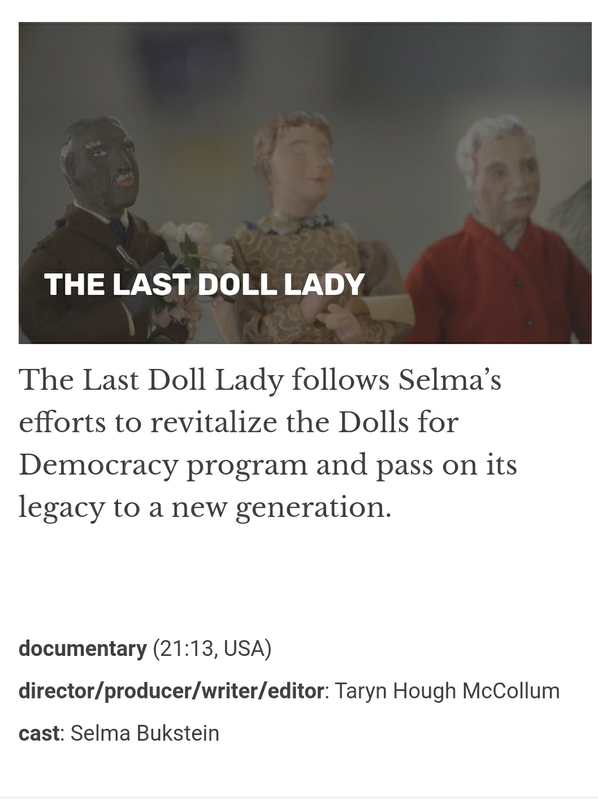 Selma and myself were interviewed by The OC Register about the dolls program and about the documentary. 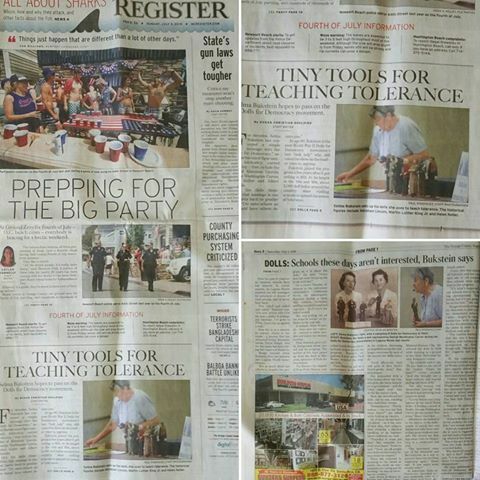 The article ran on the front page of the paper over 4th of July weekend! Click here to read the article online. 4.10.16 We've had a FANTASTIC few weeks of shooting. 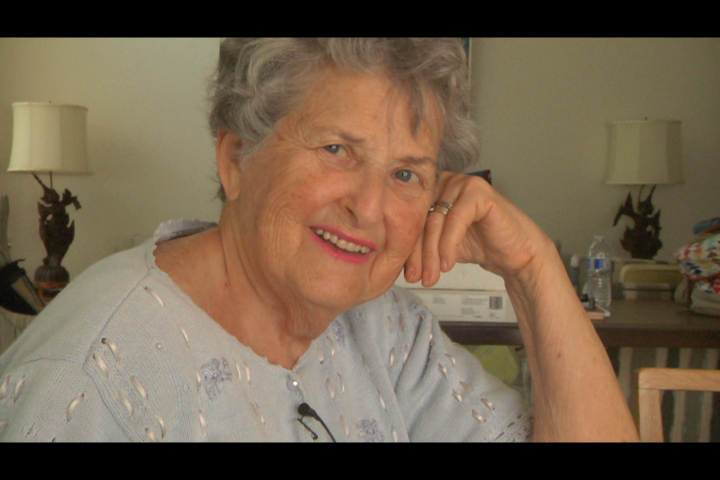 Selma's story is really coming together and we can't wait to show you what we've been working on! Enjoy the screen captures in the meantime! 8.16.15 We had a great on location shoot for our documentary at the OC Fair. 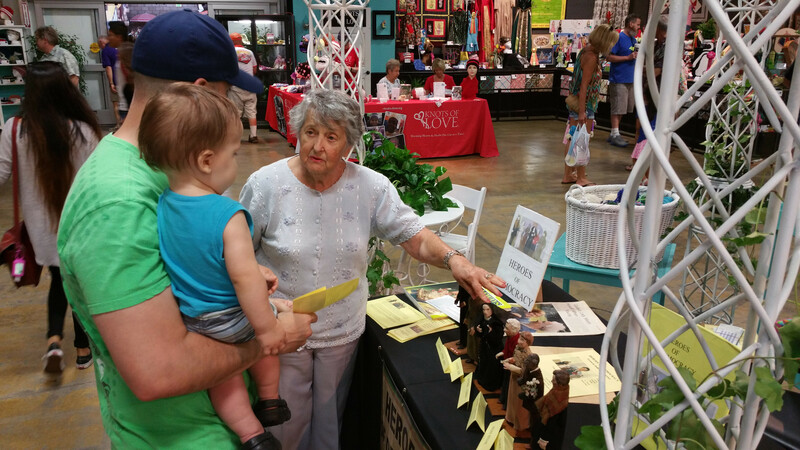 Below is an image of Selma by her booth at the fair, and talking to people about the program. 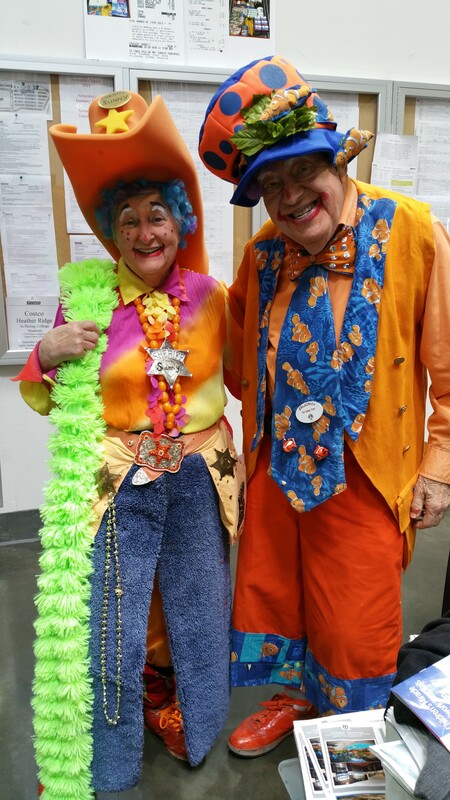 5.12.15 Selma, the lead in our documentary, also performs as a clown for various organizations. 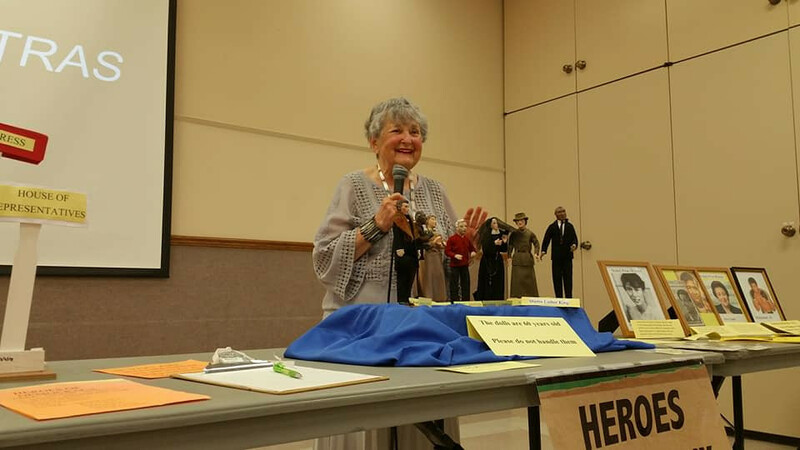 Below are images of Selma and her husband Paul, at a chairity function. 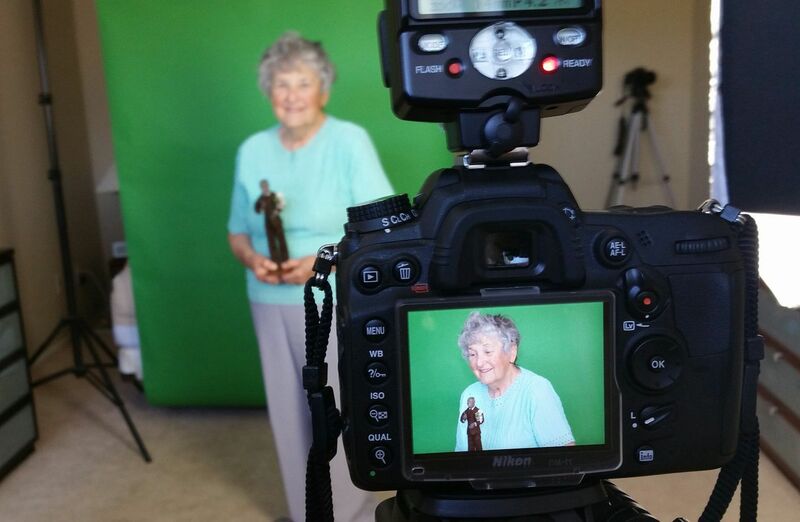 3.2.15 Production for our upcoming documentary, "The last doll lady", has officially started! We are so excited to tell their story.